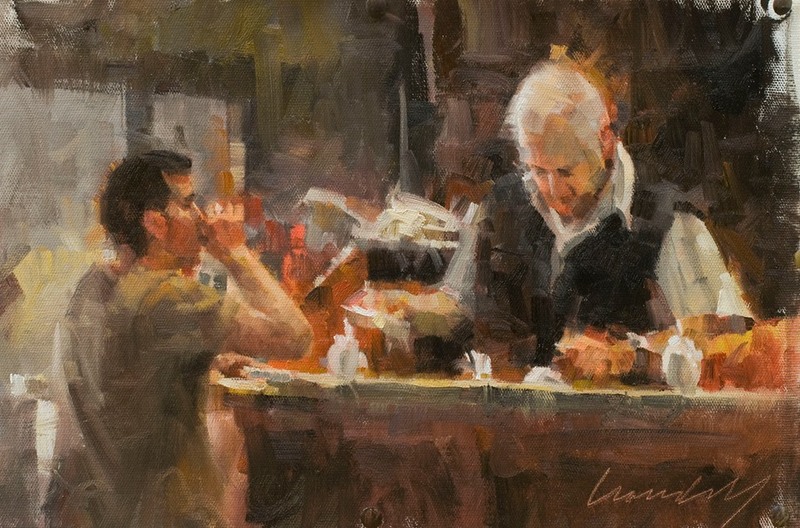 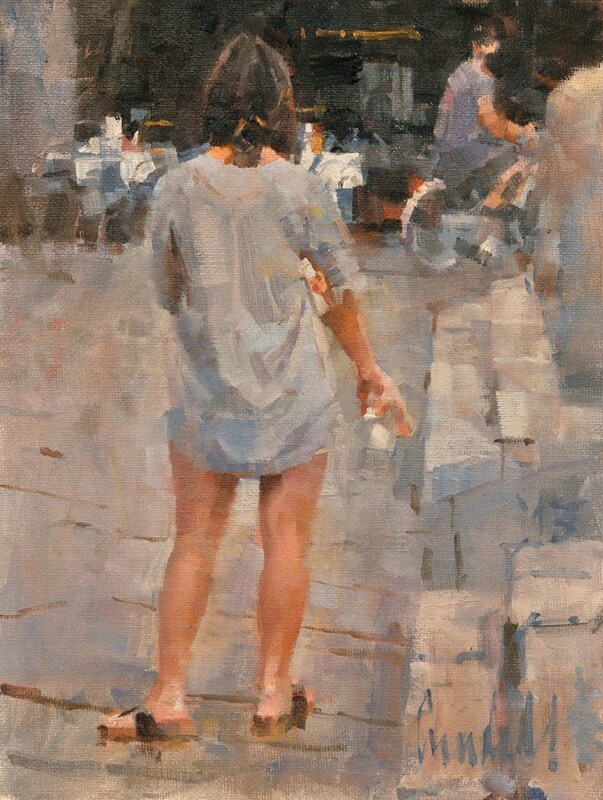 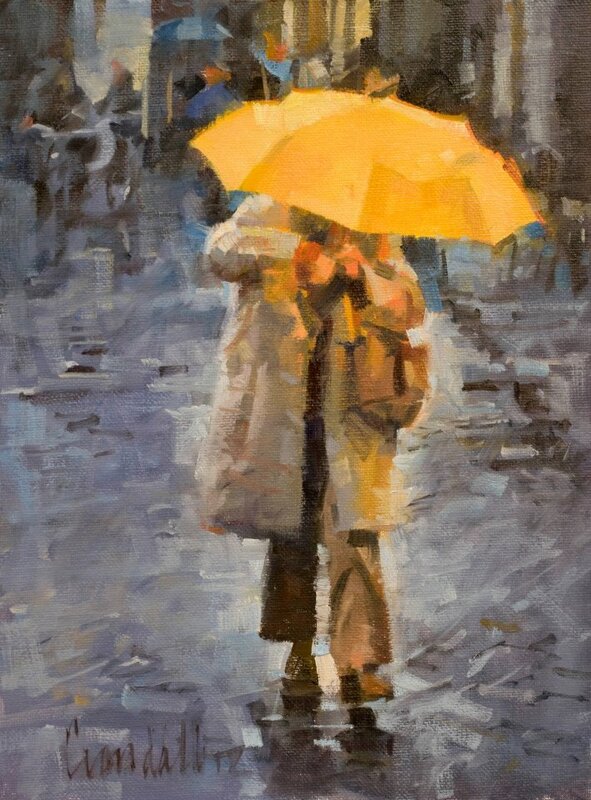 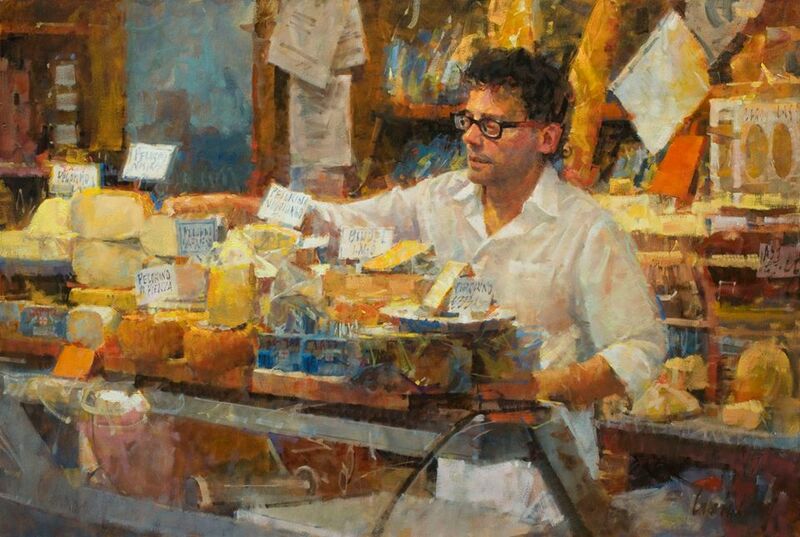 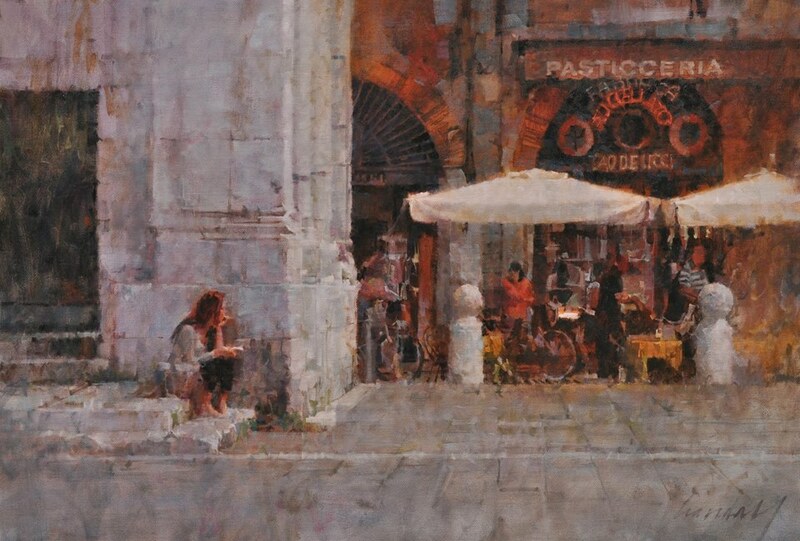 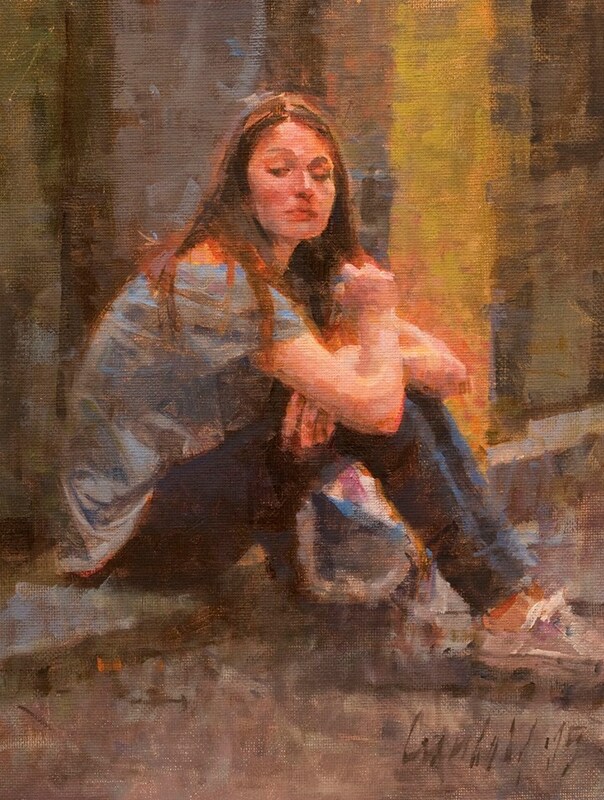 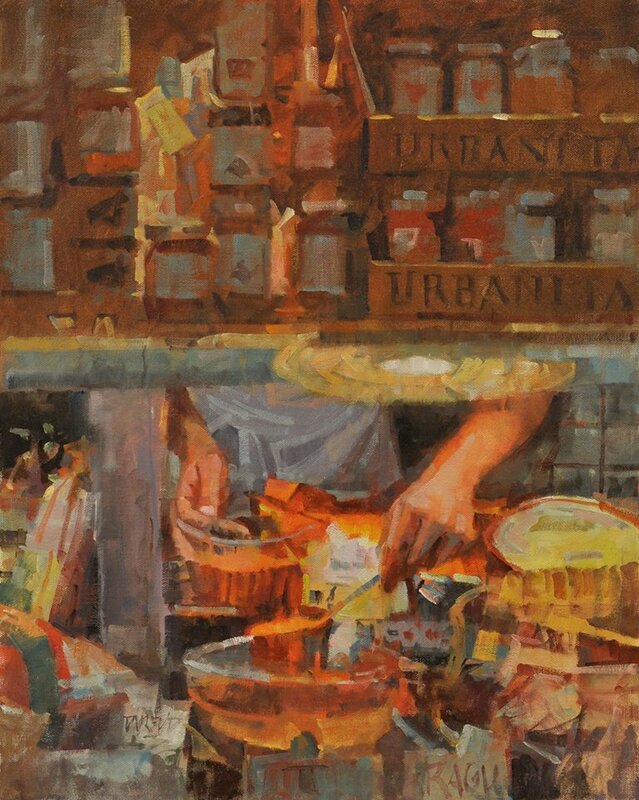 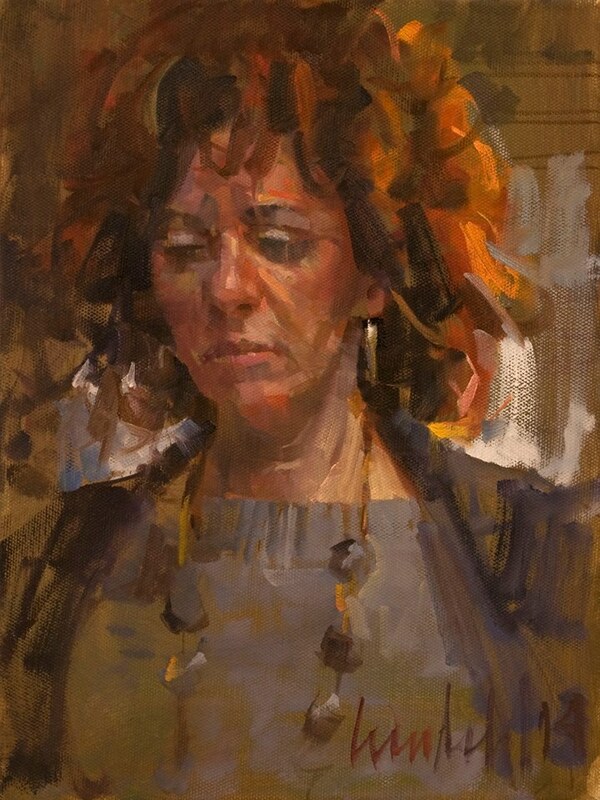 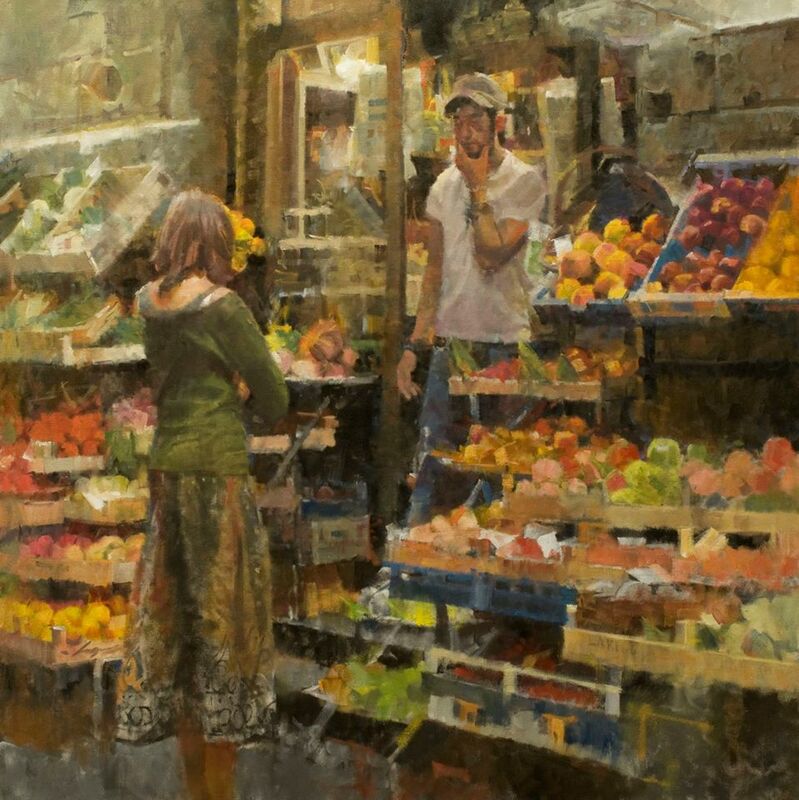 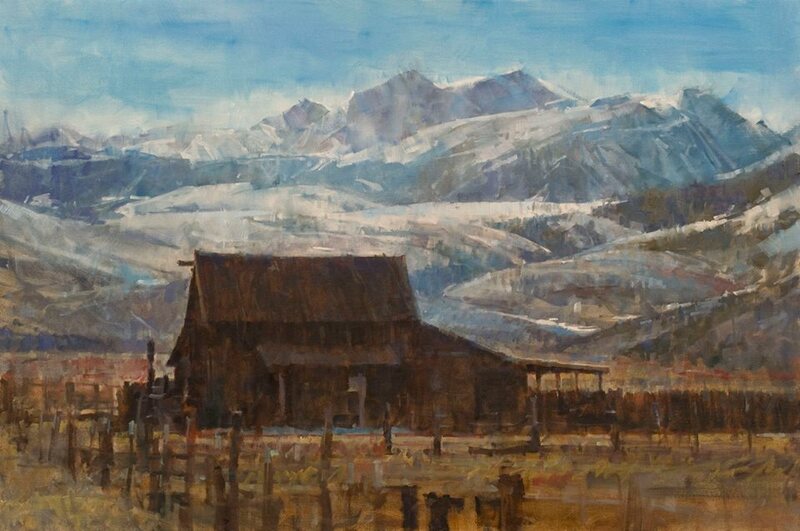 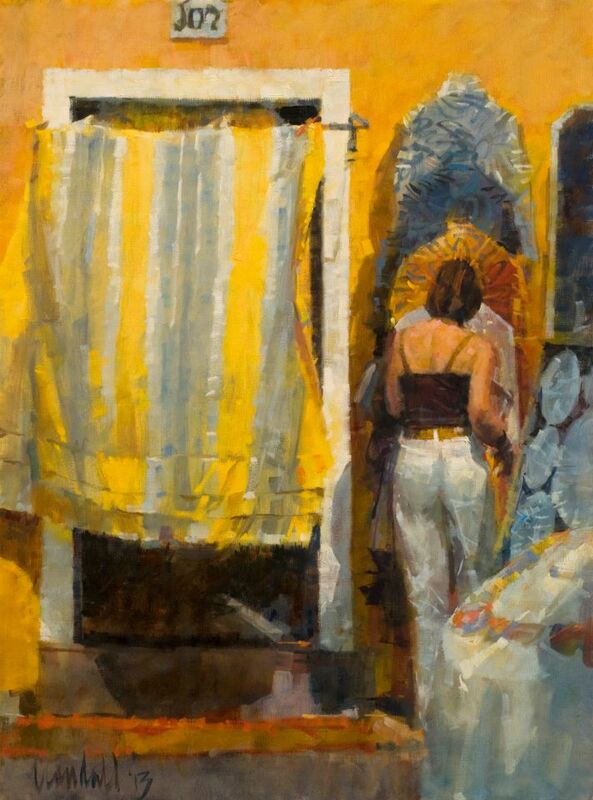 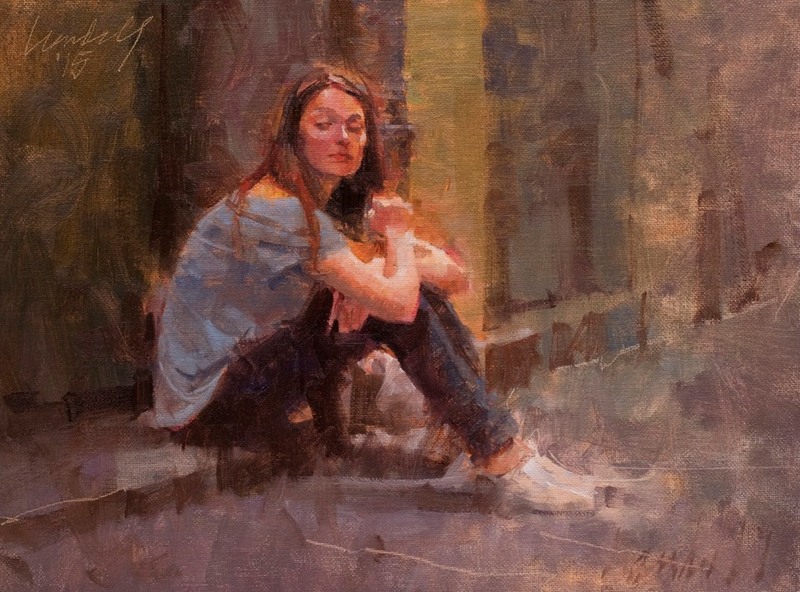 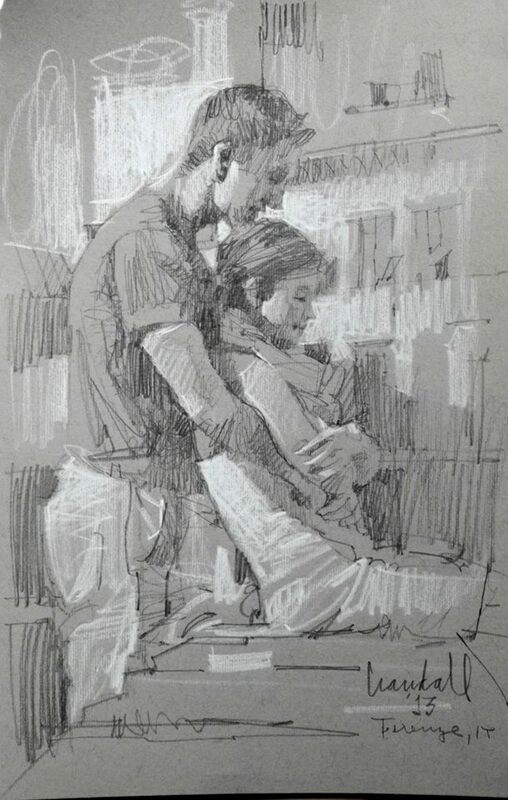 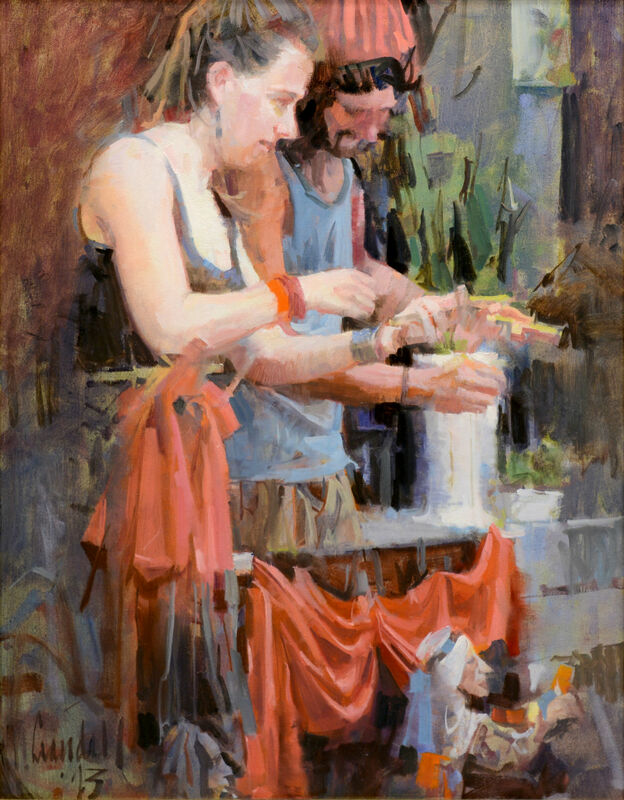 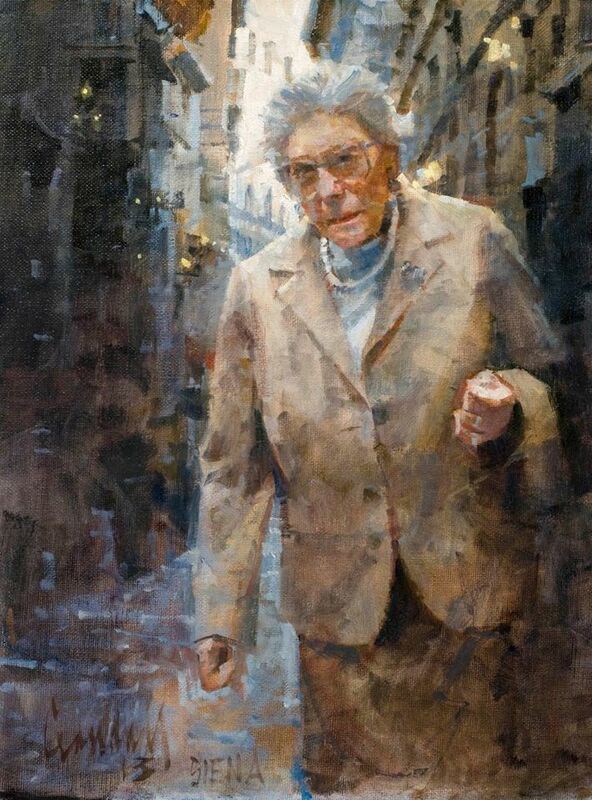 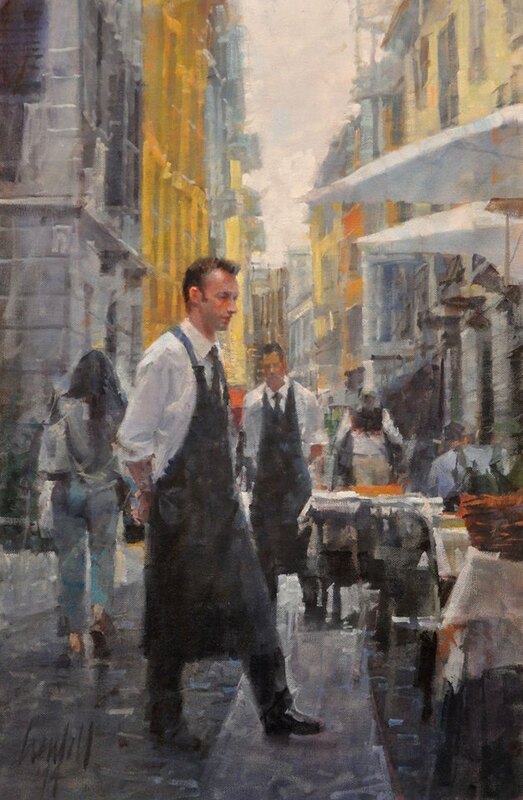 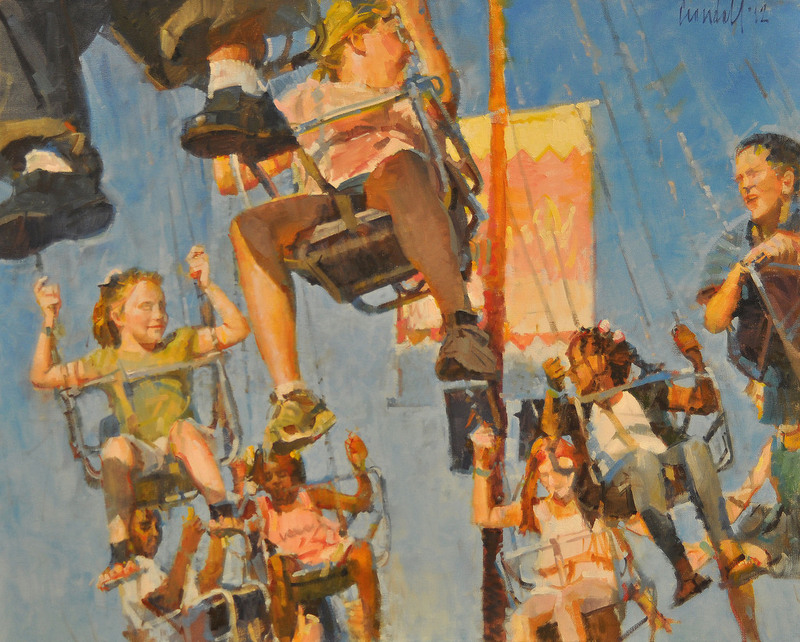 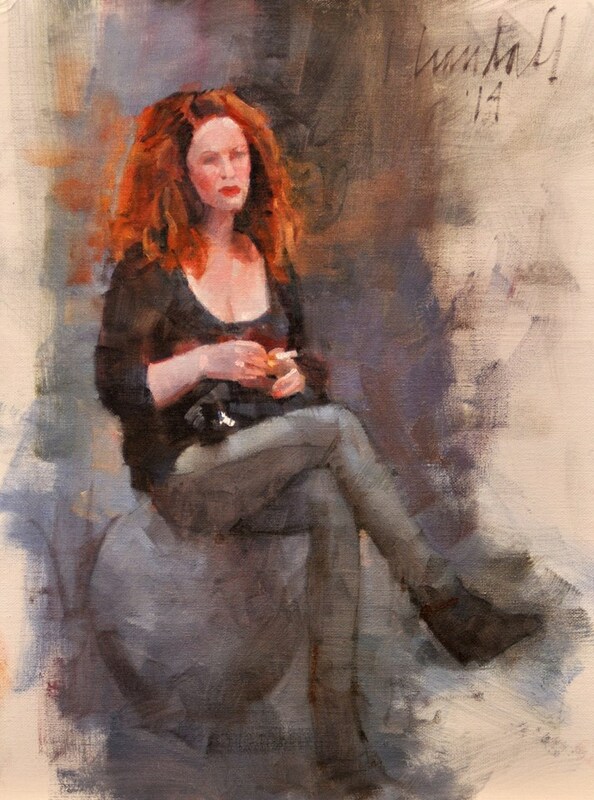 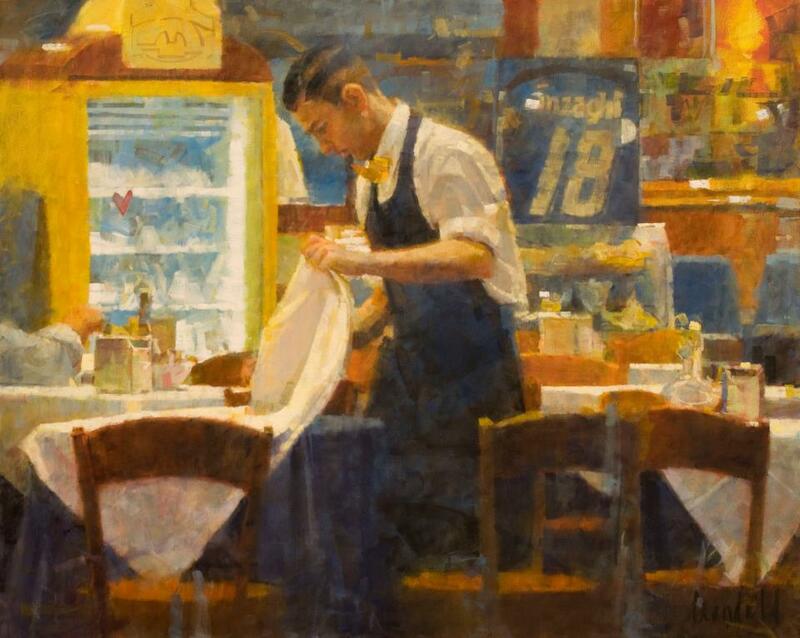 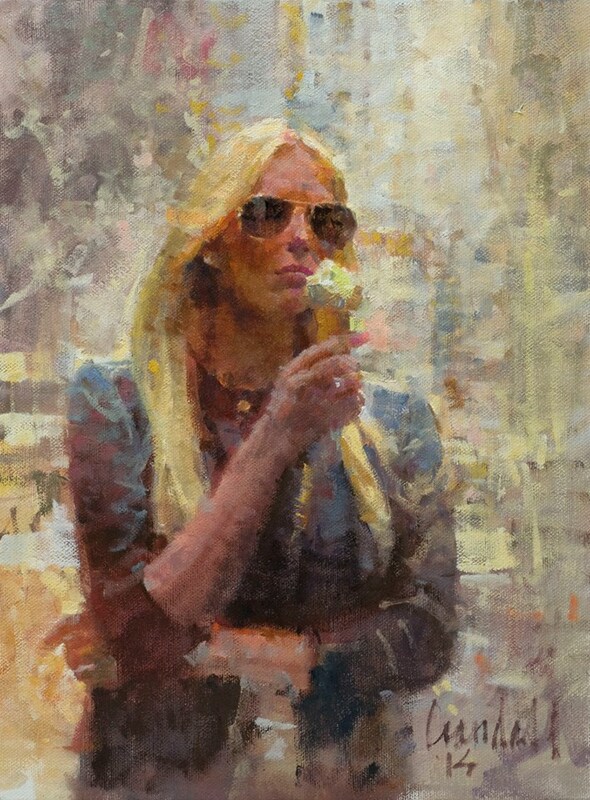 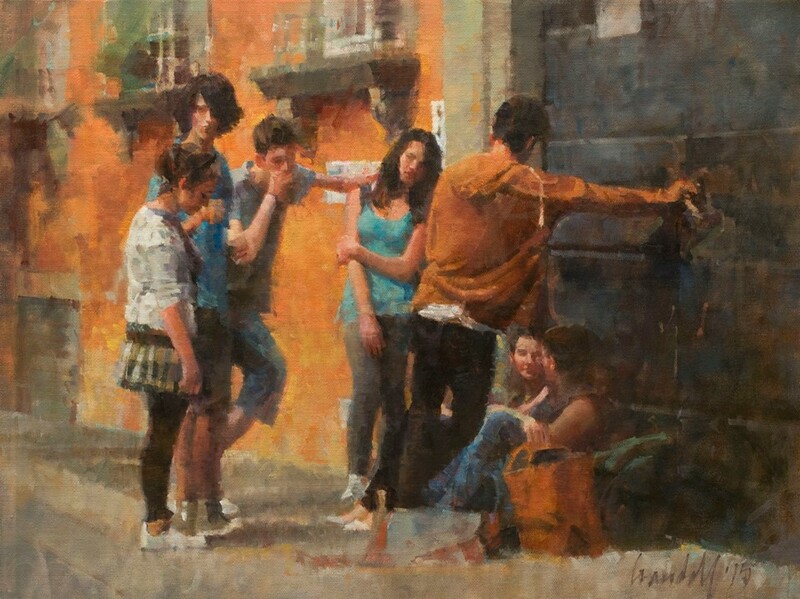 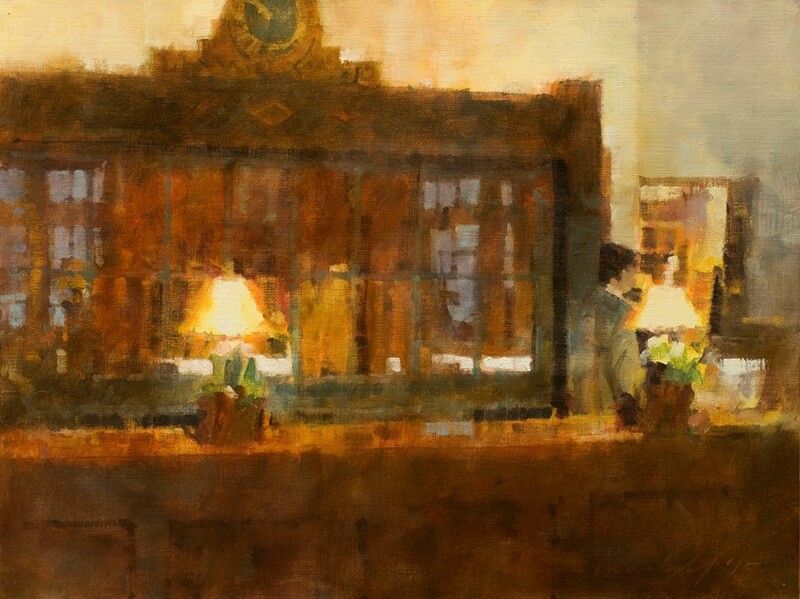 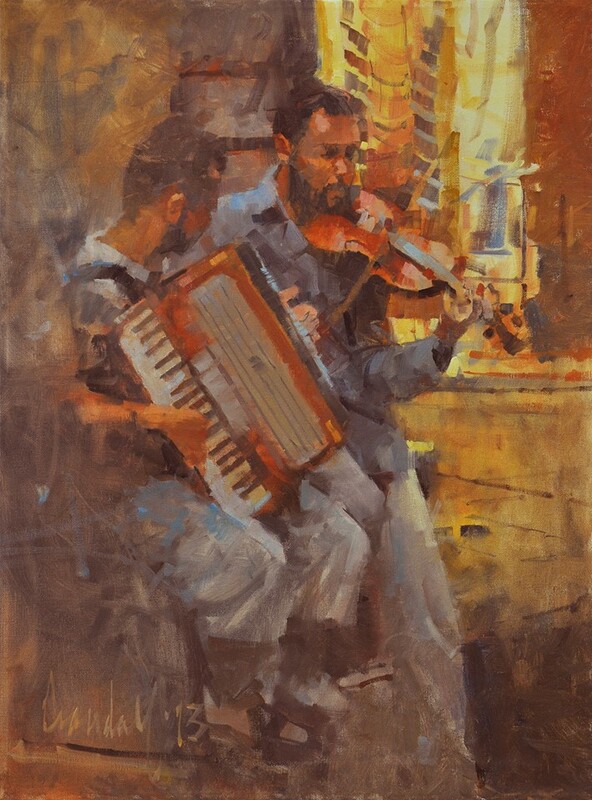 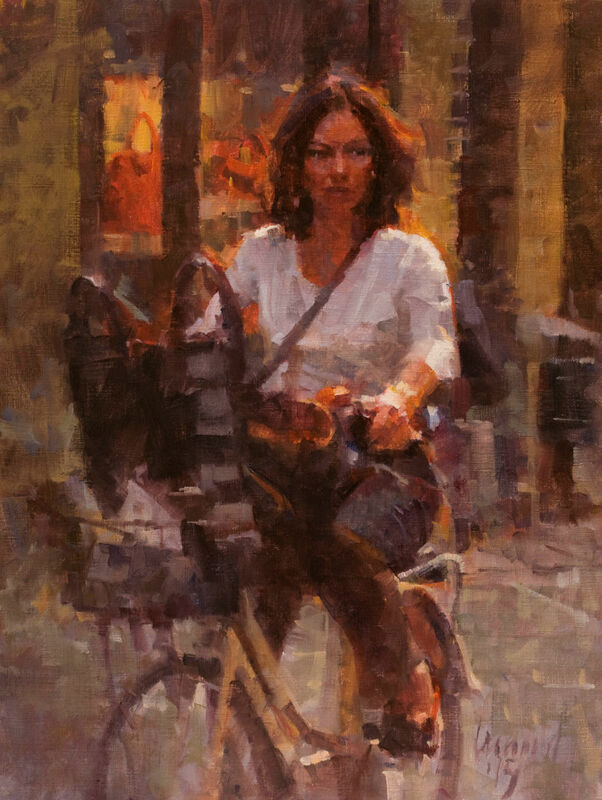 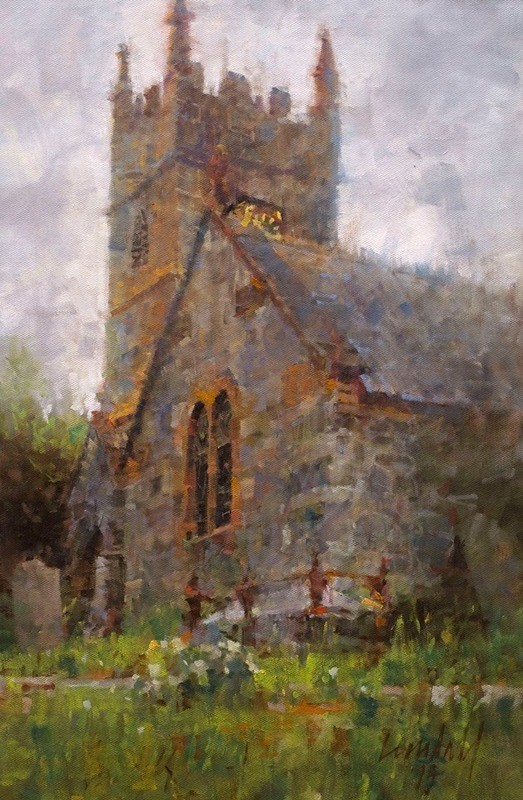 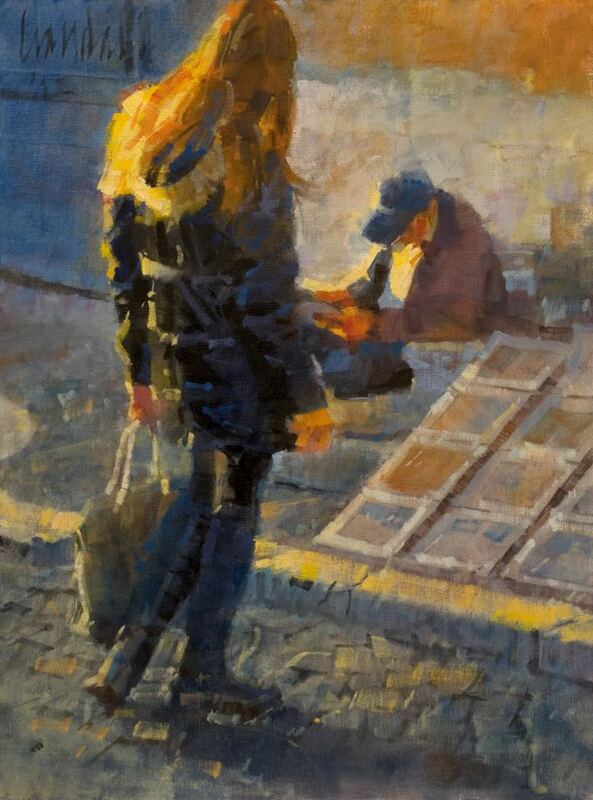 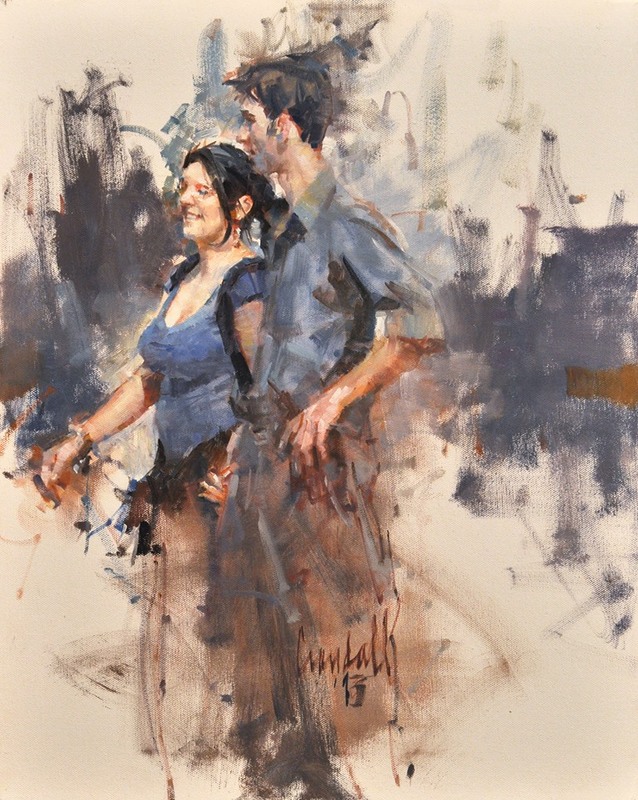 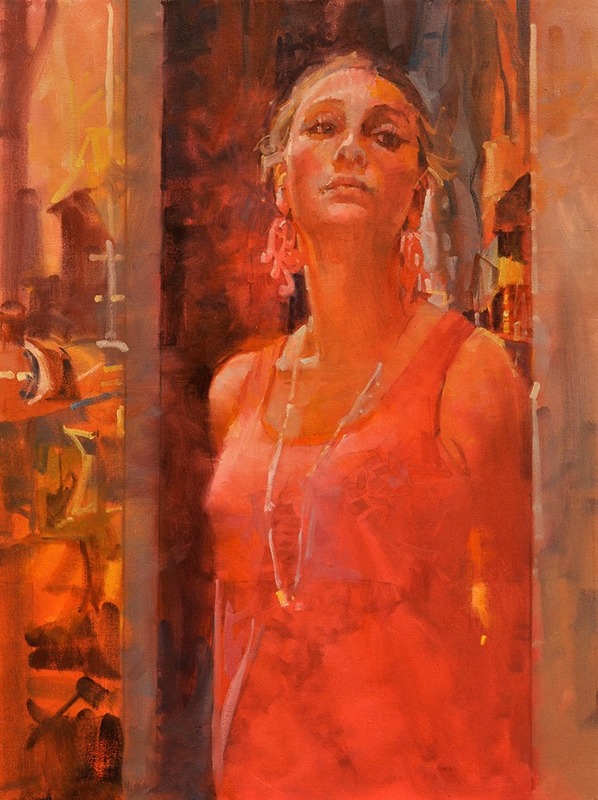 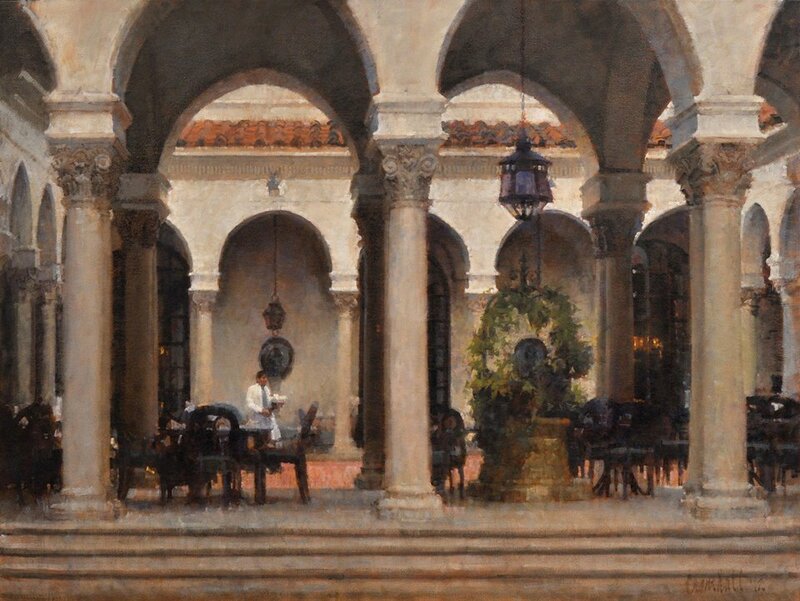 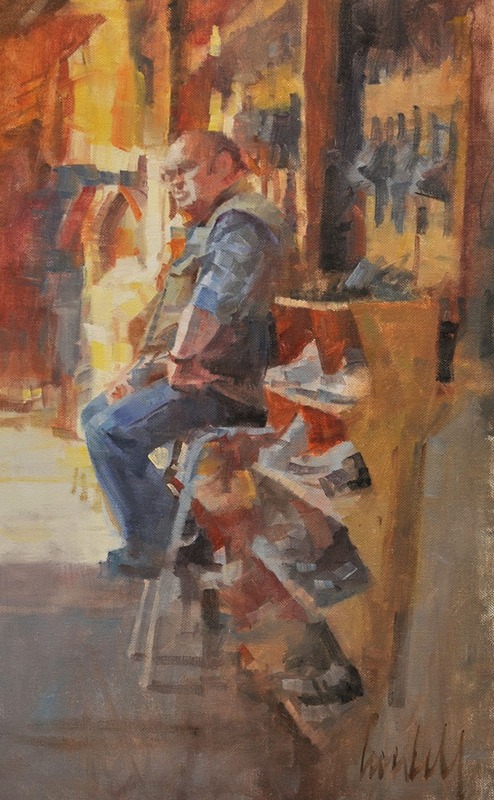 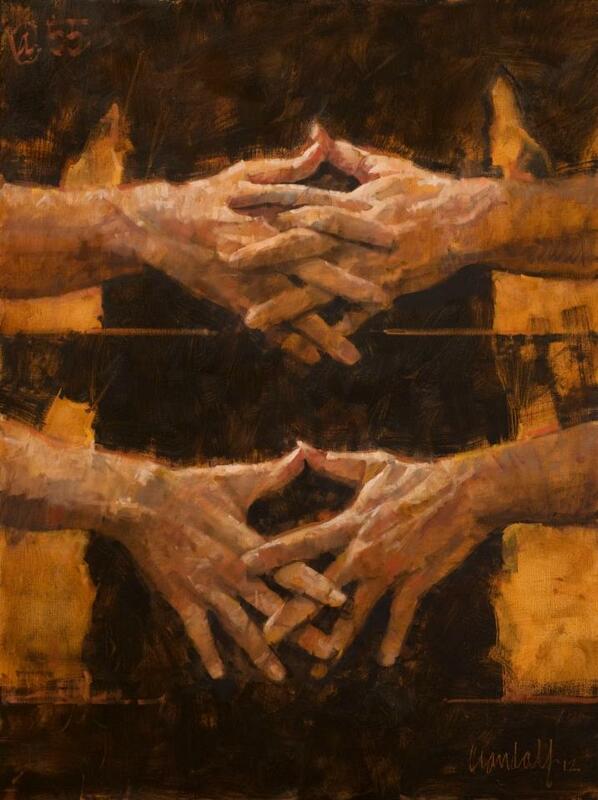 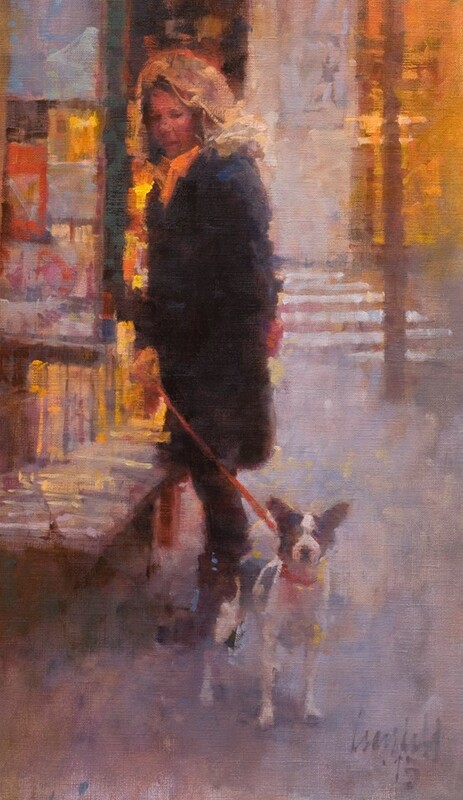 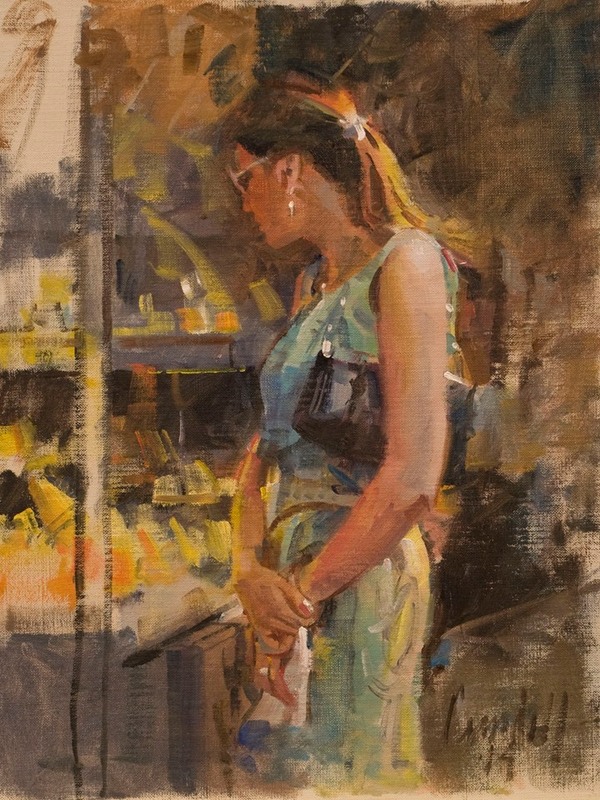 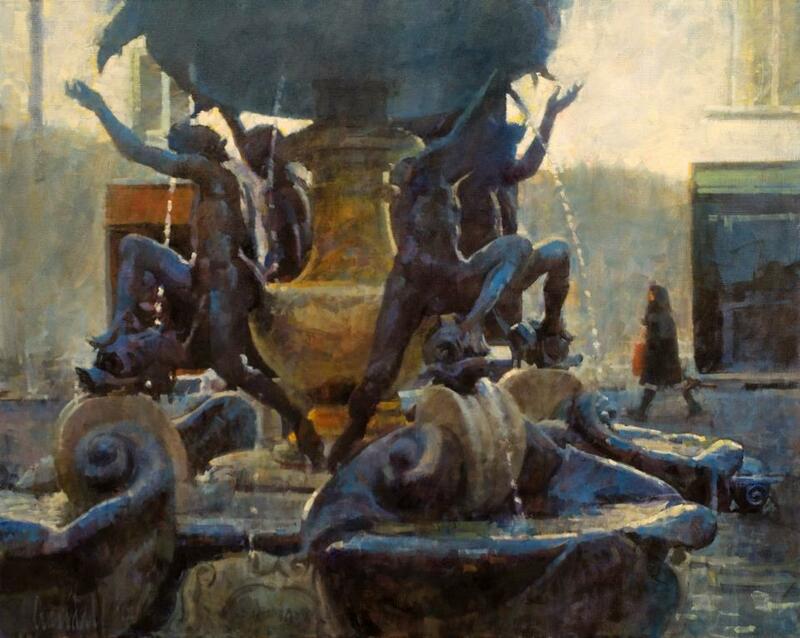 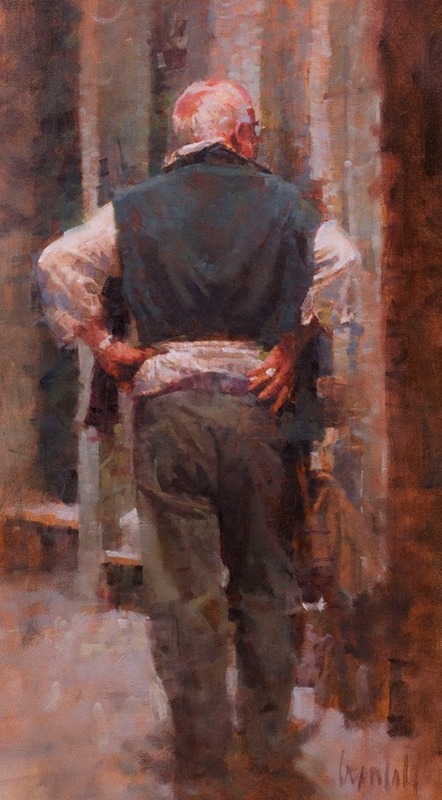 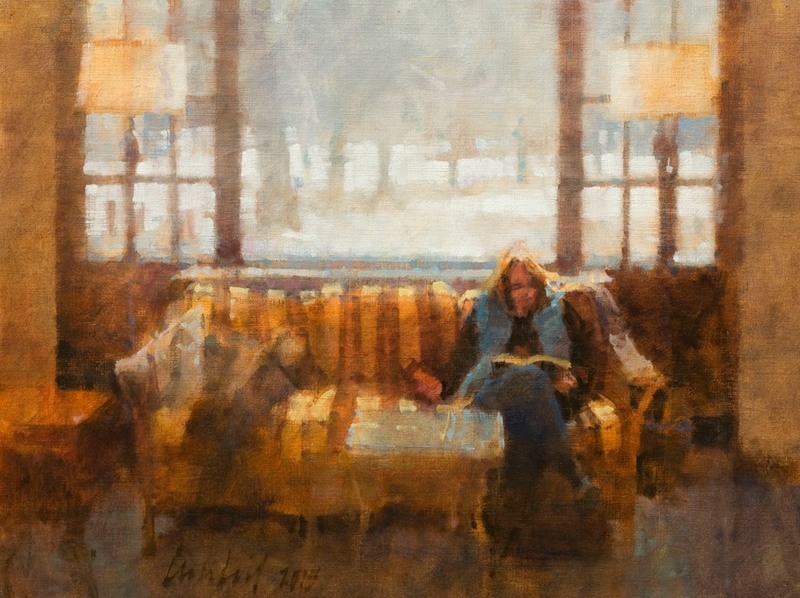 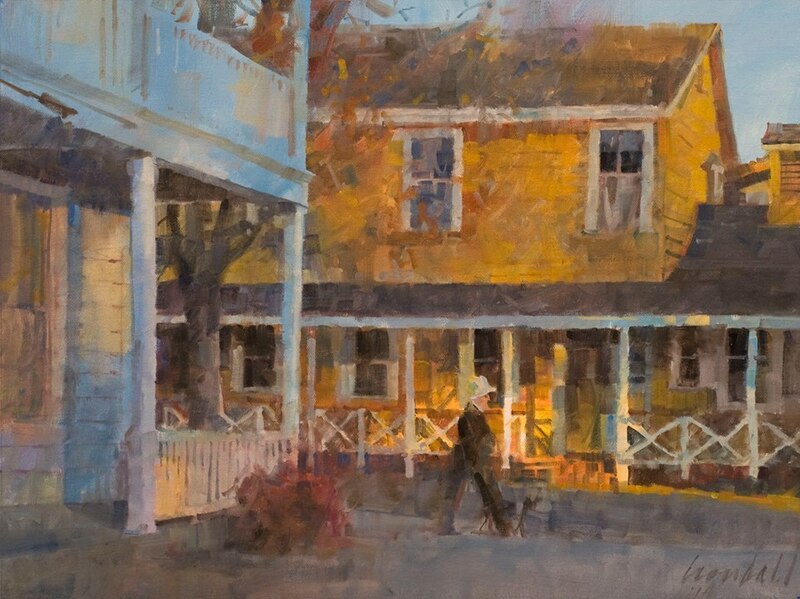 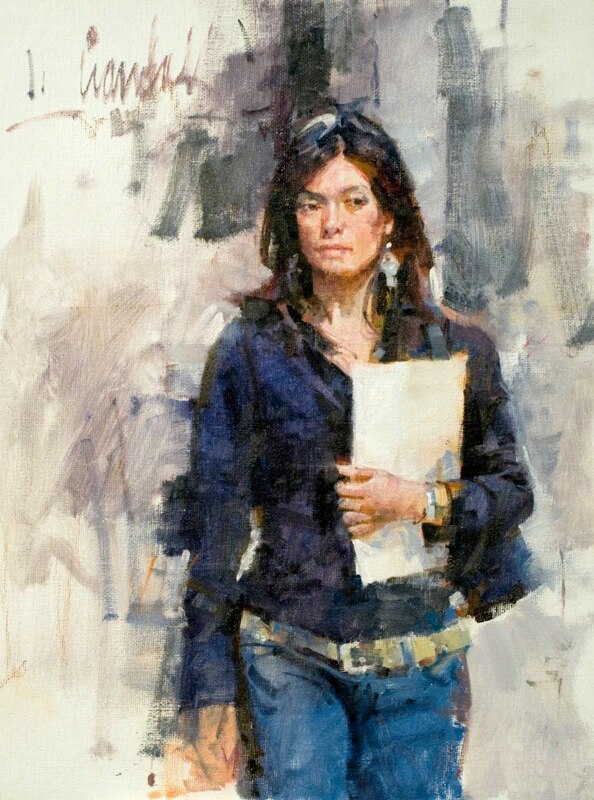 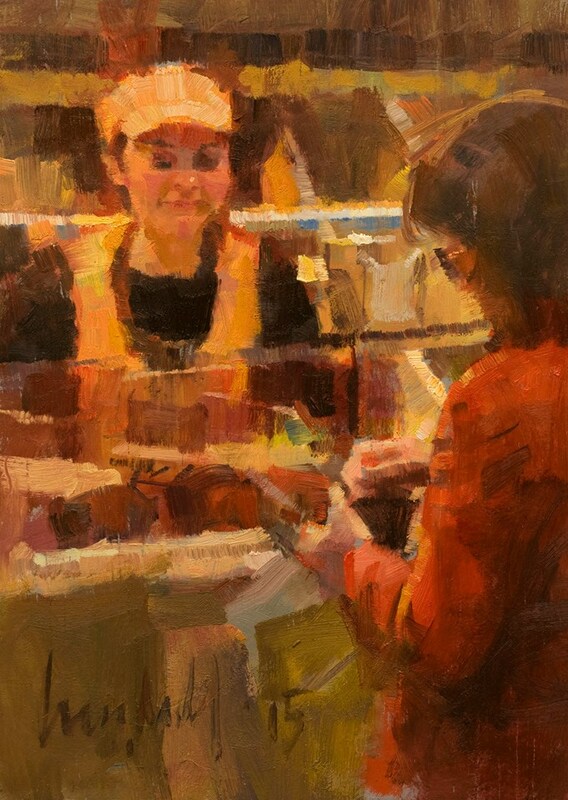 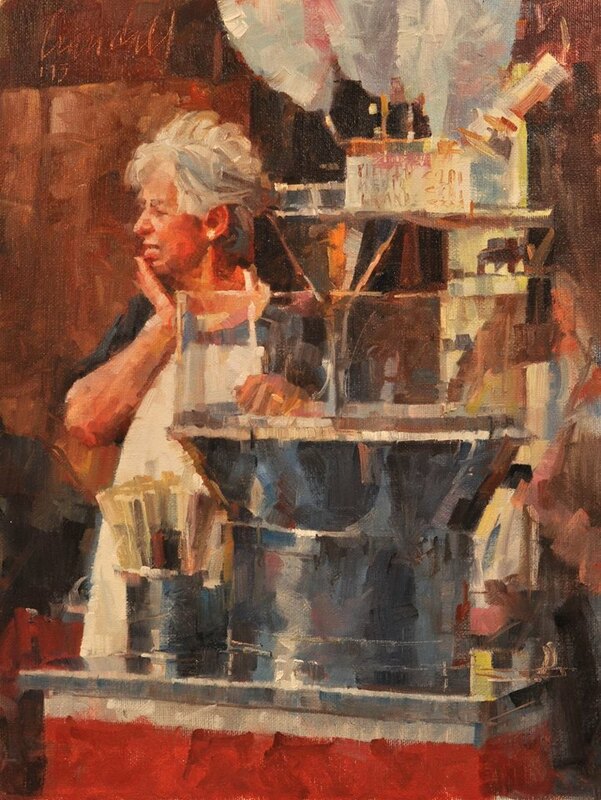 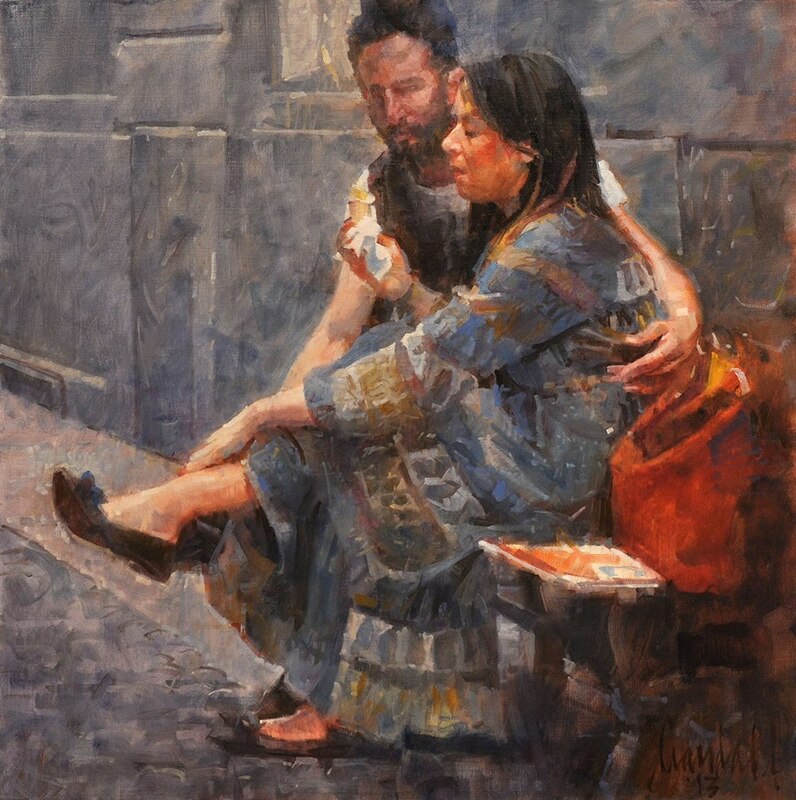 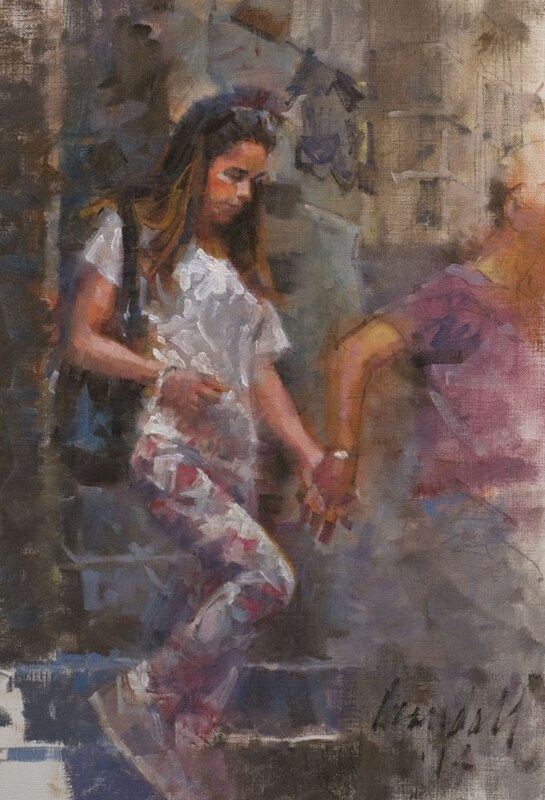 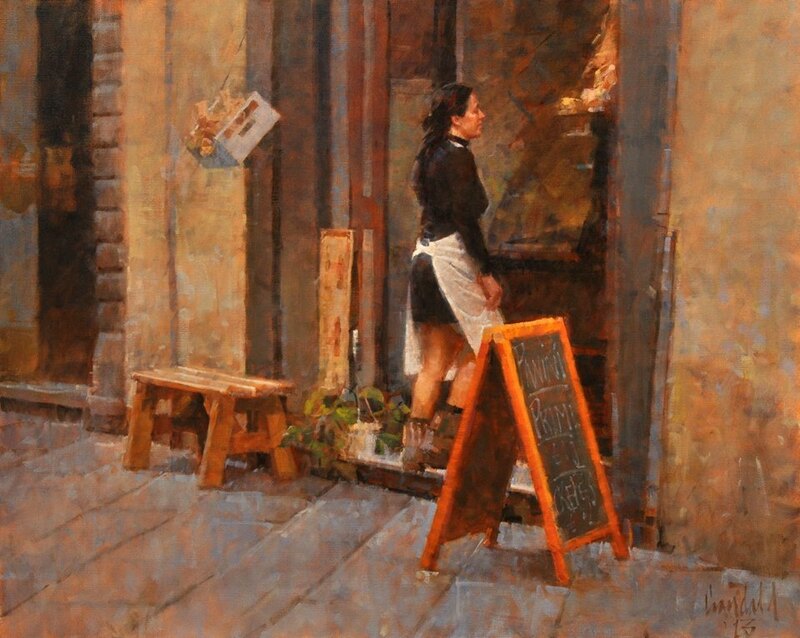 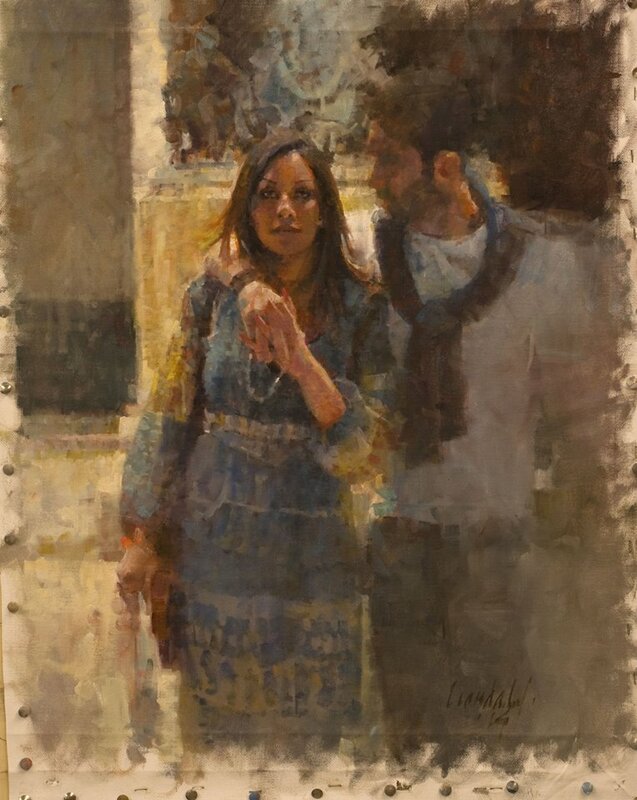 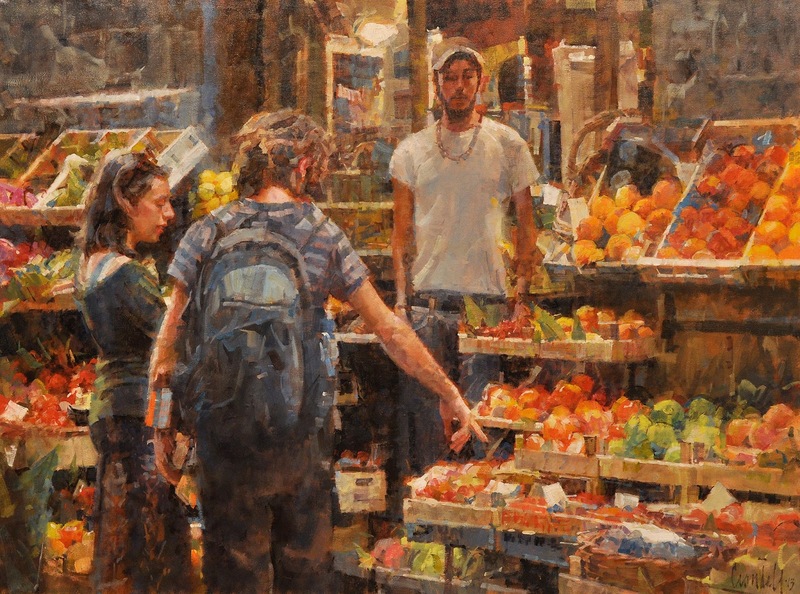 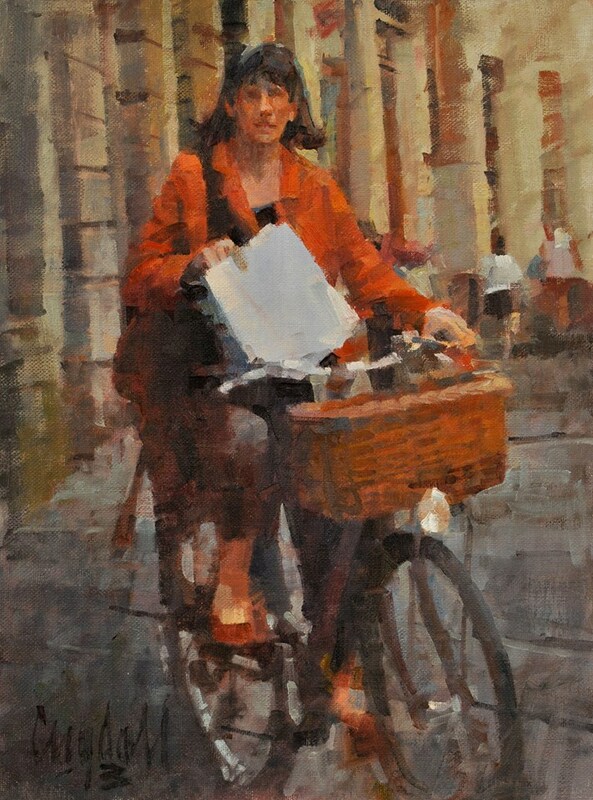 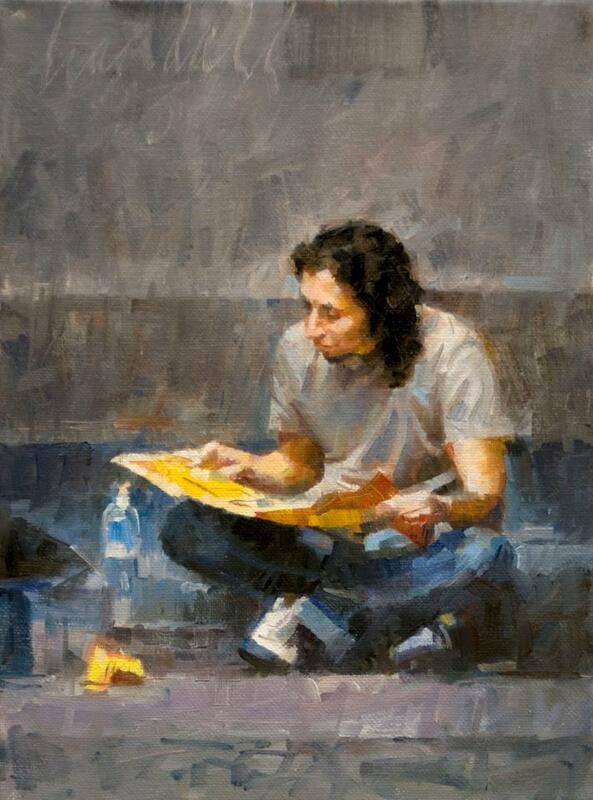 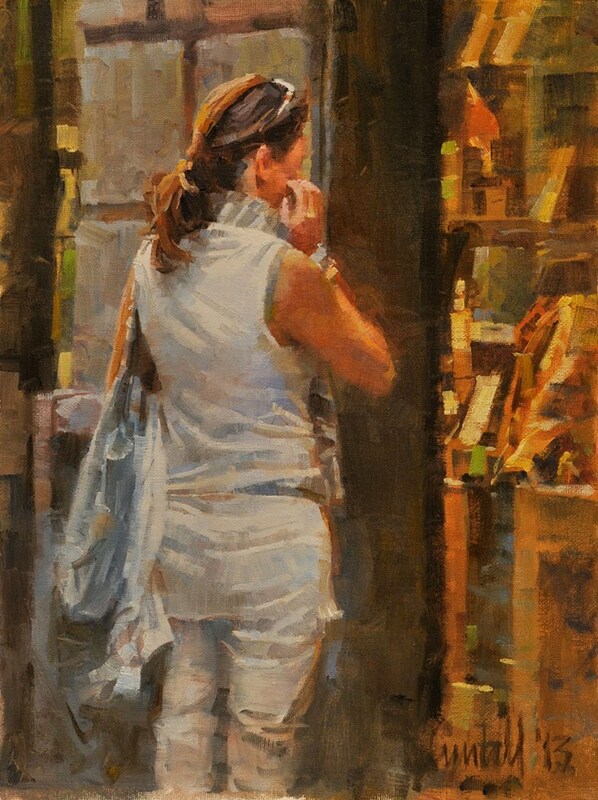 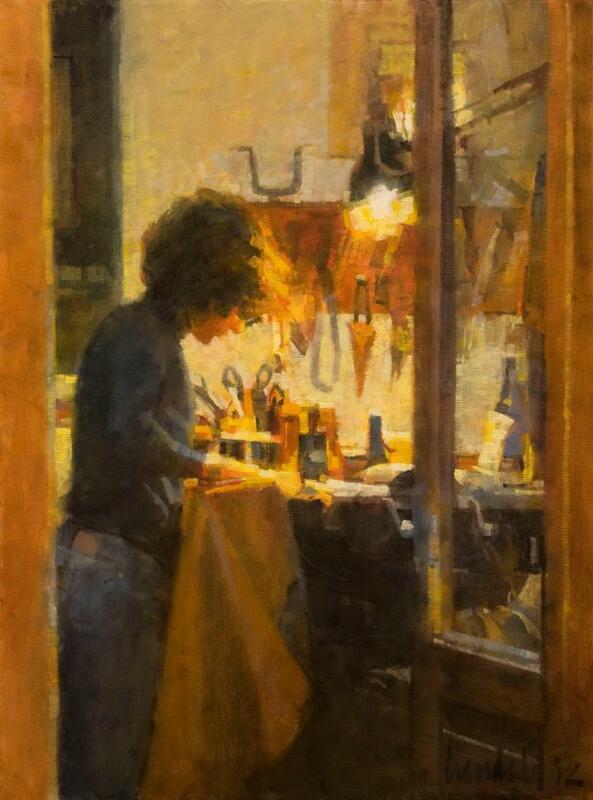 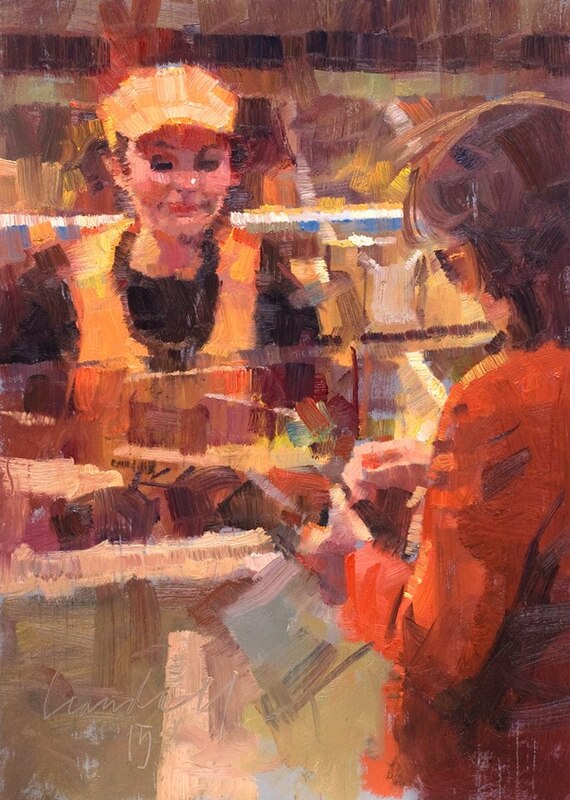 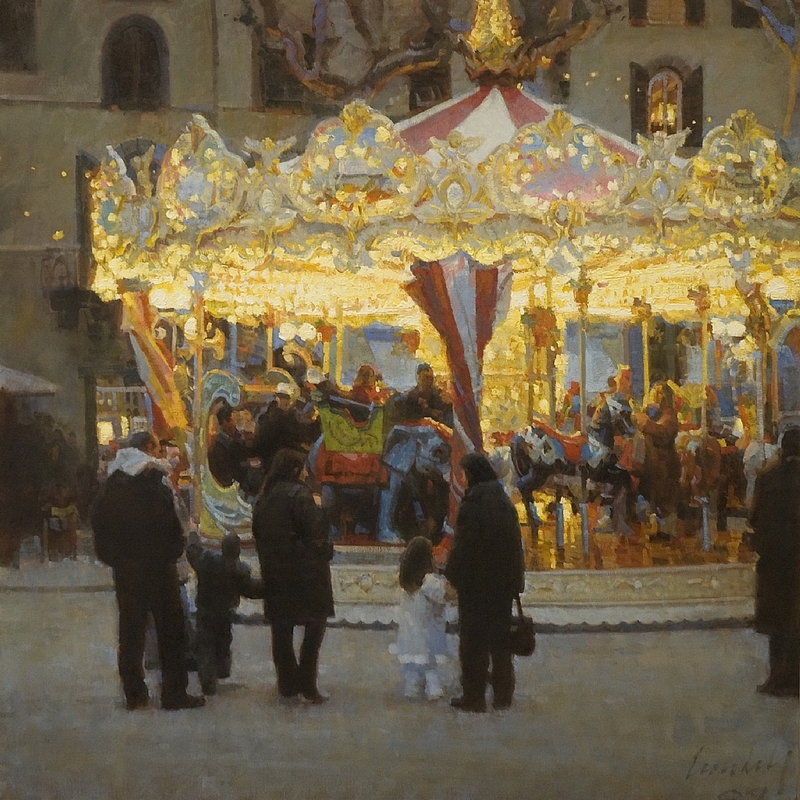 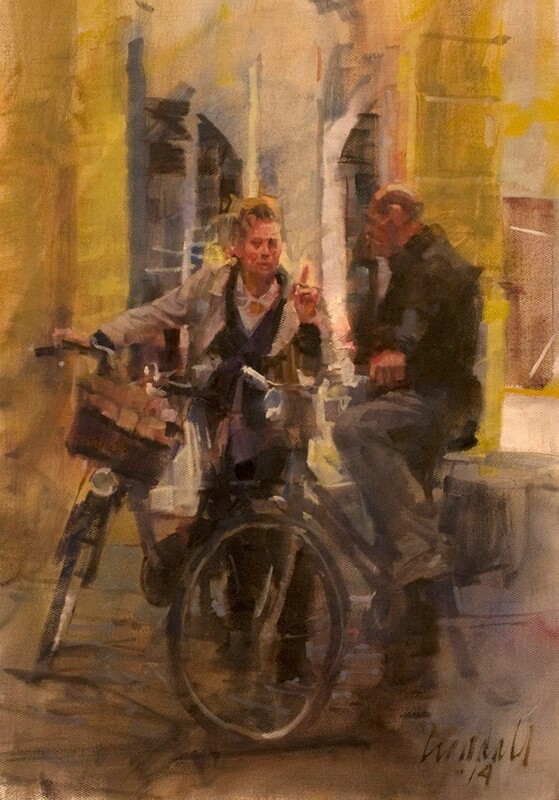 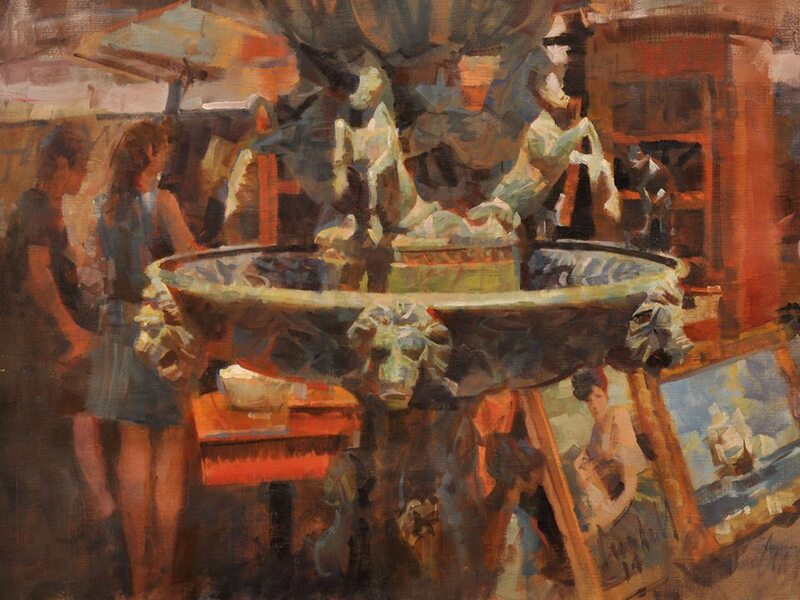 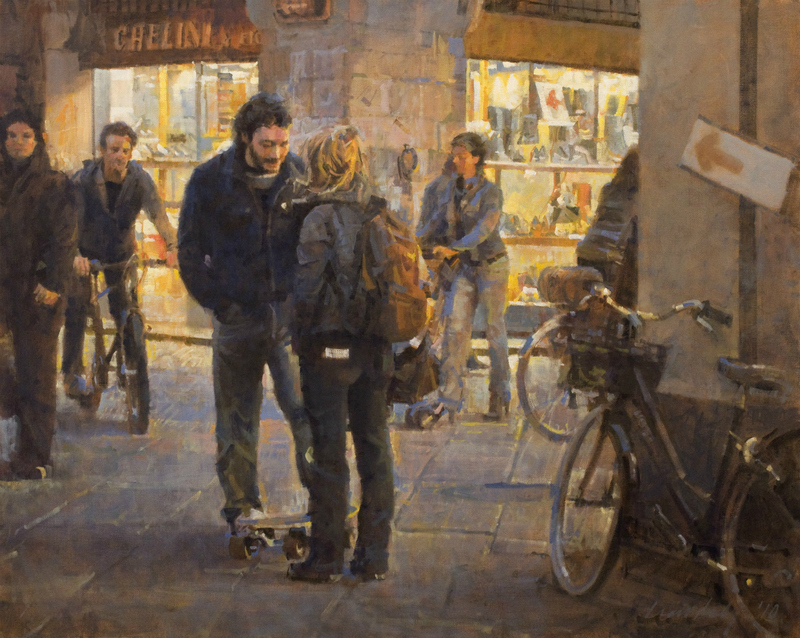 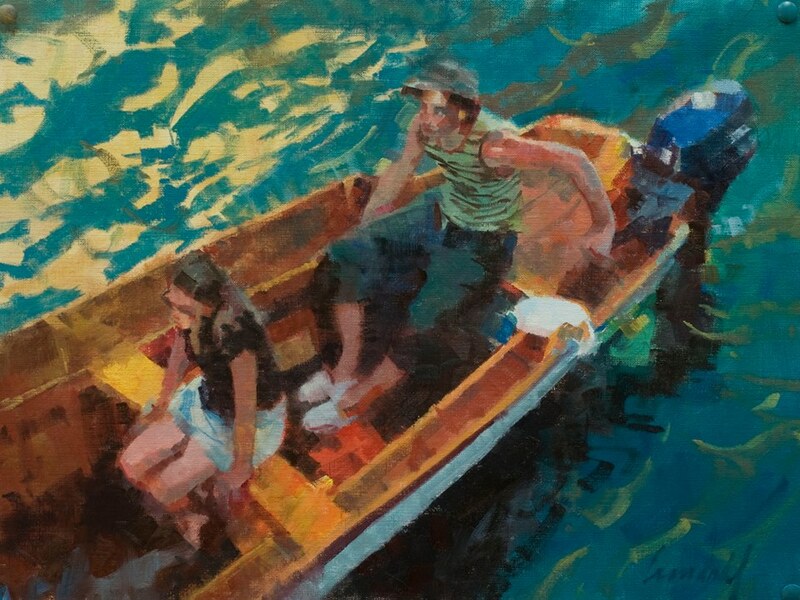 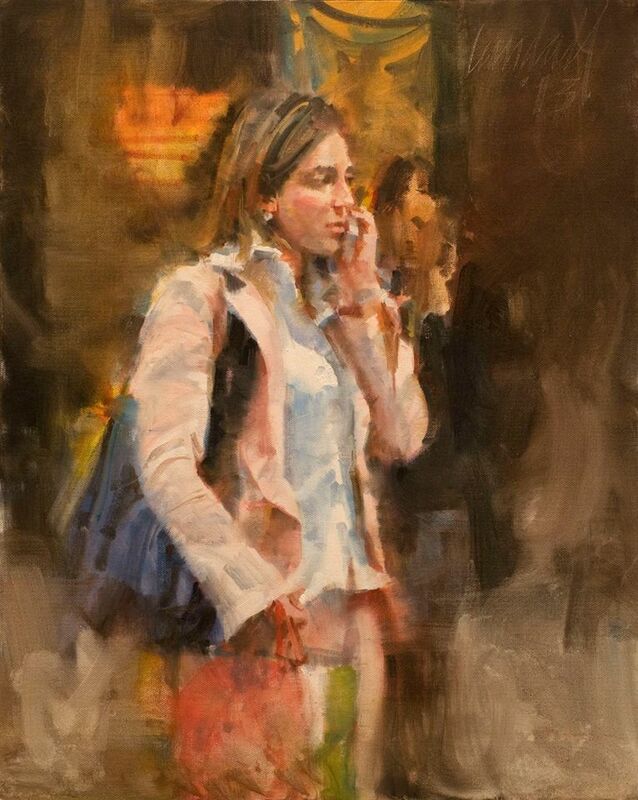 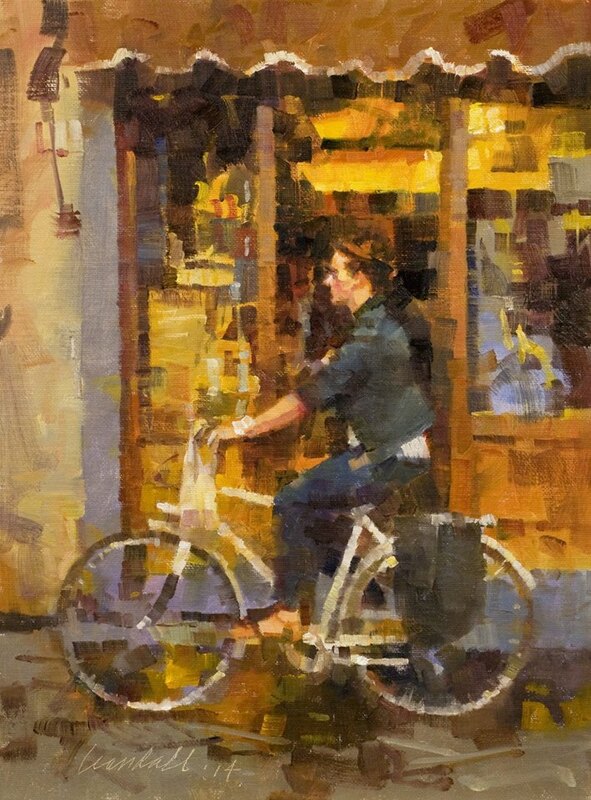 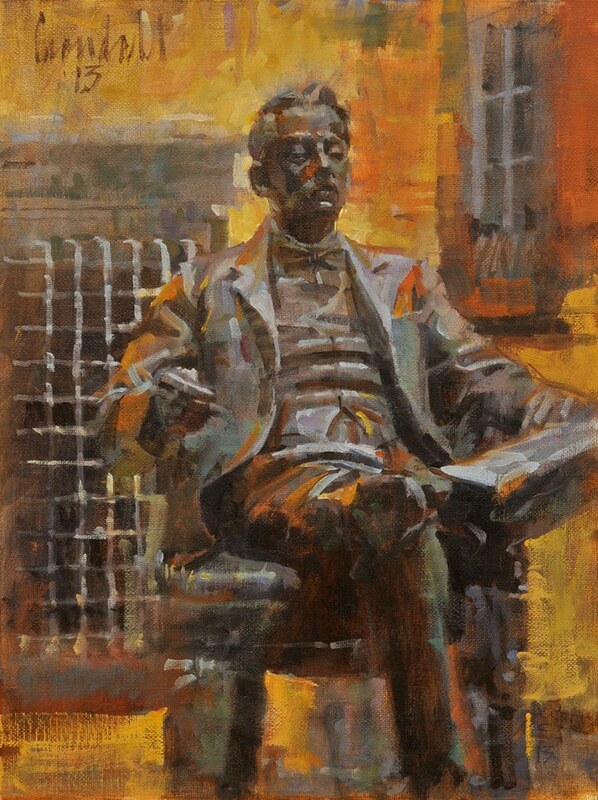 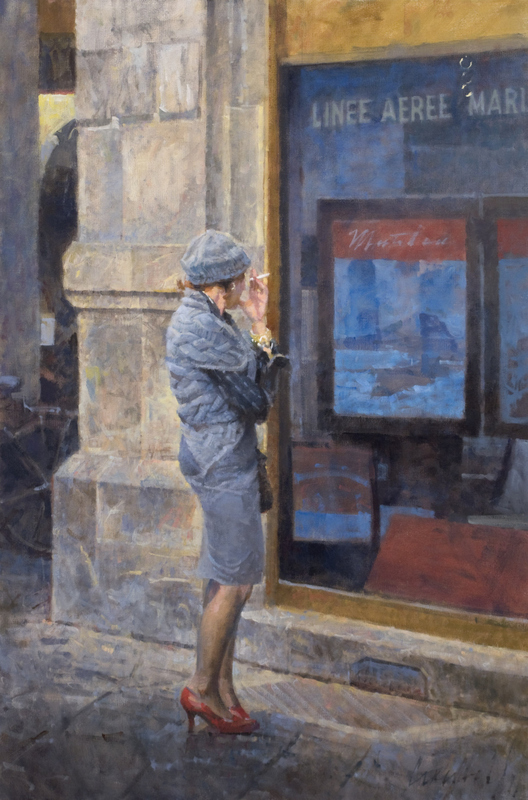 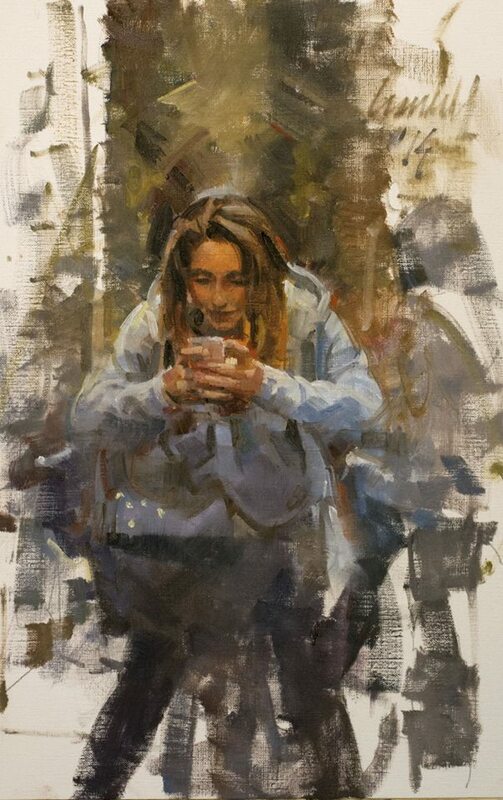 After a long career as a concept illustrator in the advertising and motion-picture industry, American painter James Crandall has shifted his focus to traditional easel painting. 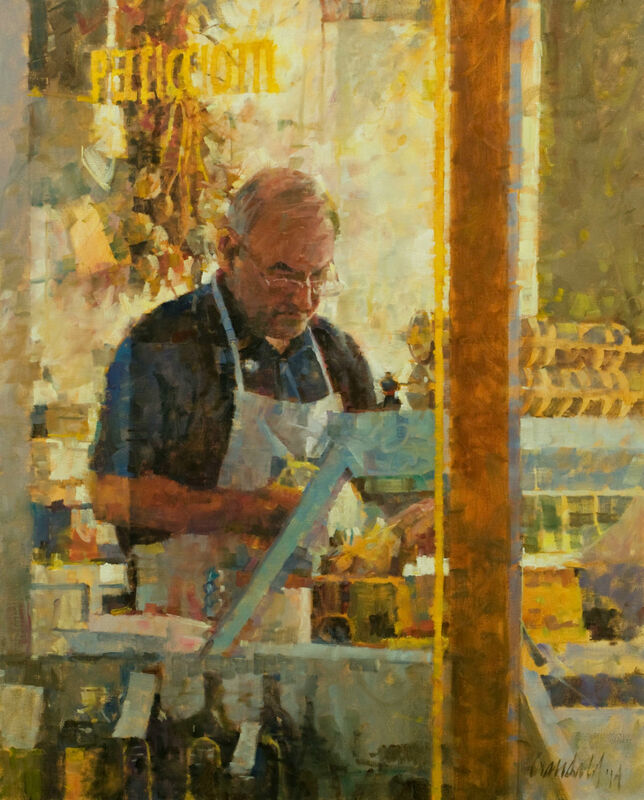 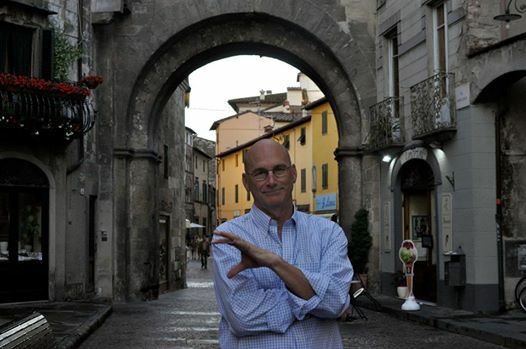 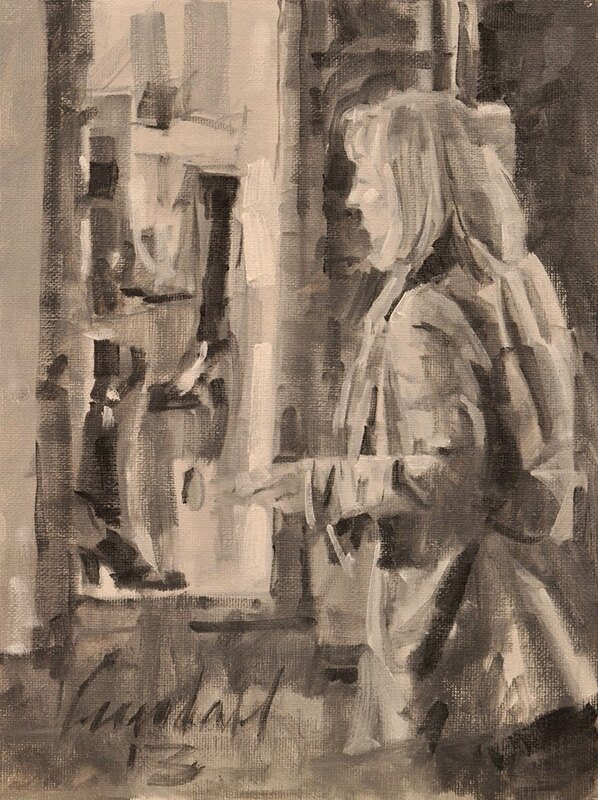 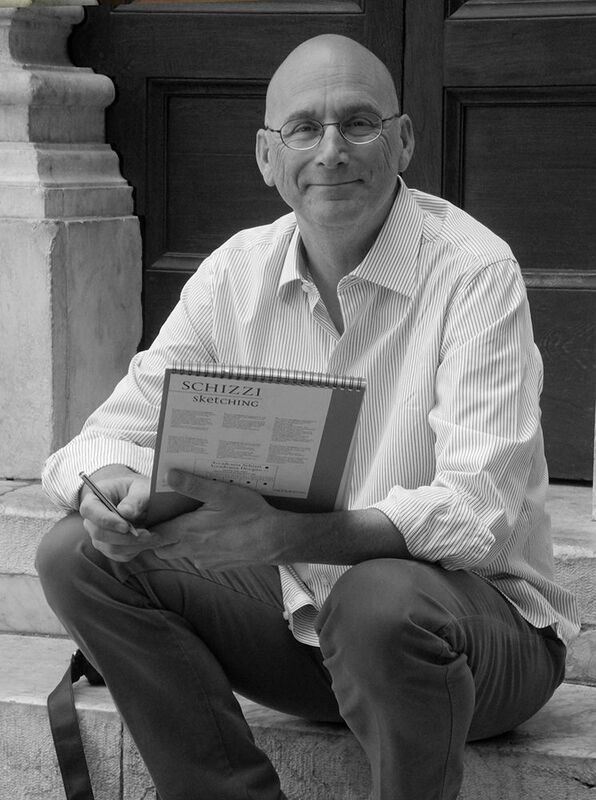 He finds subject matter in everyday life, and is always looking for an intriguing play of light, or the unstaged gestures of people at work and at play. 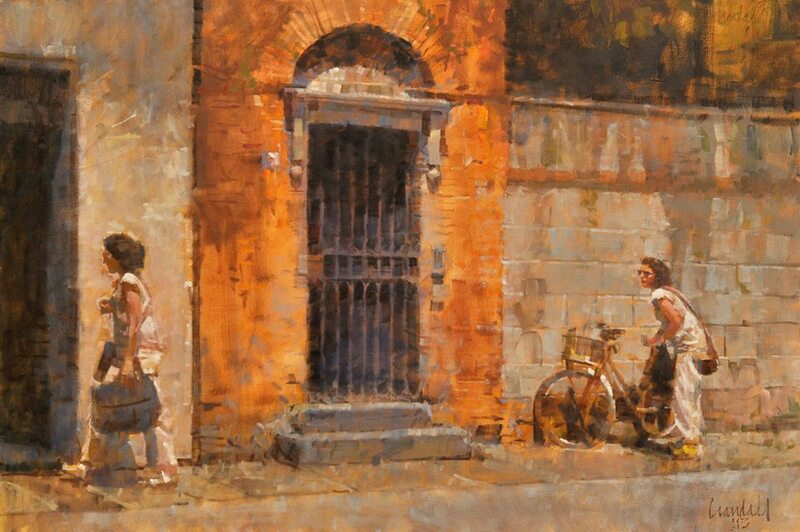 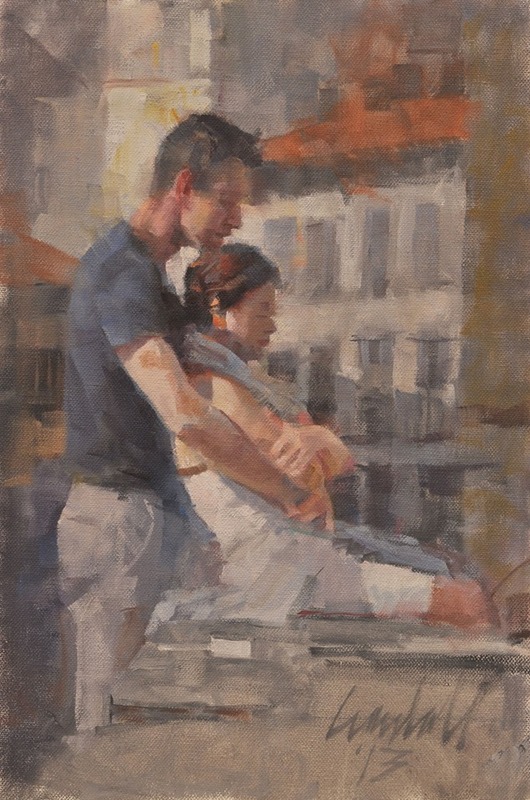 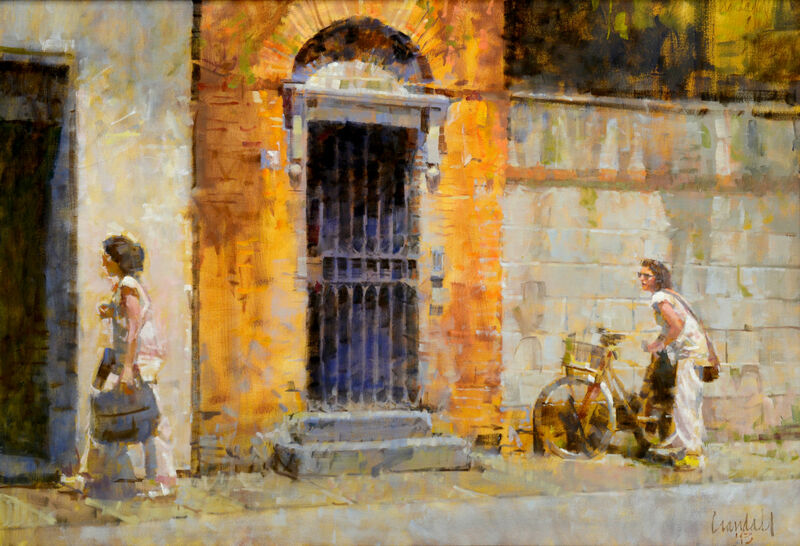 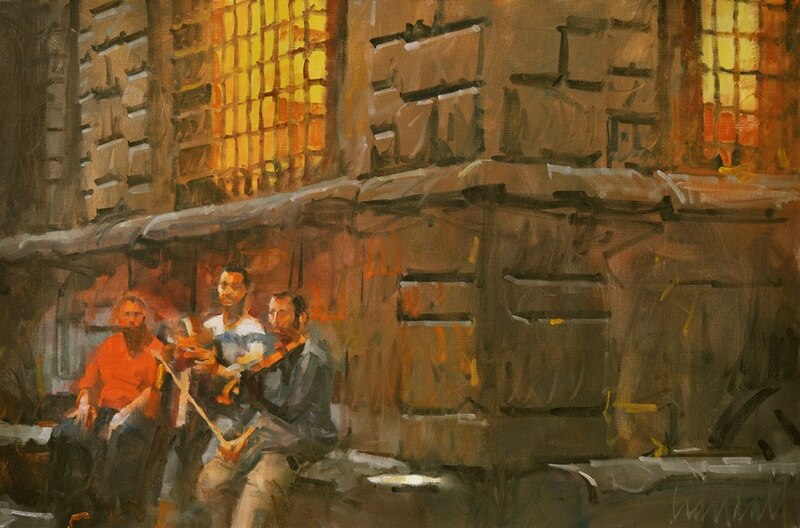 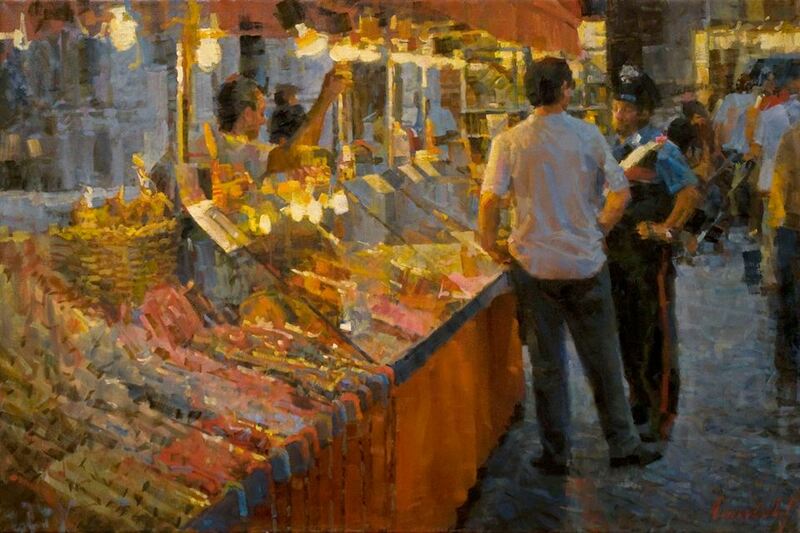 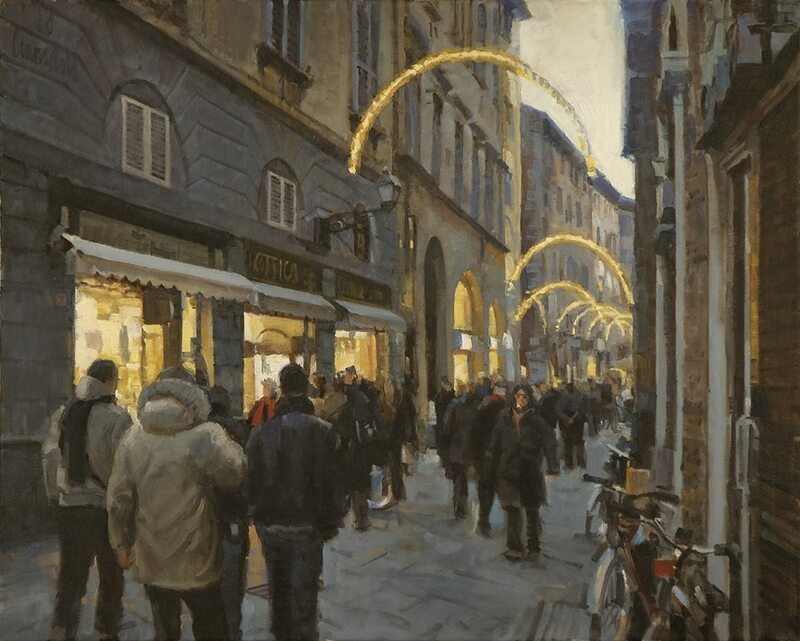 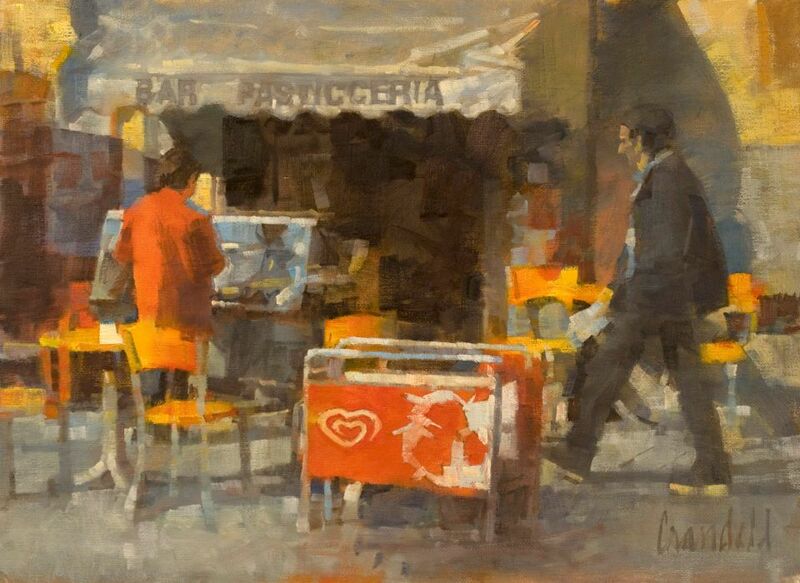 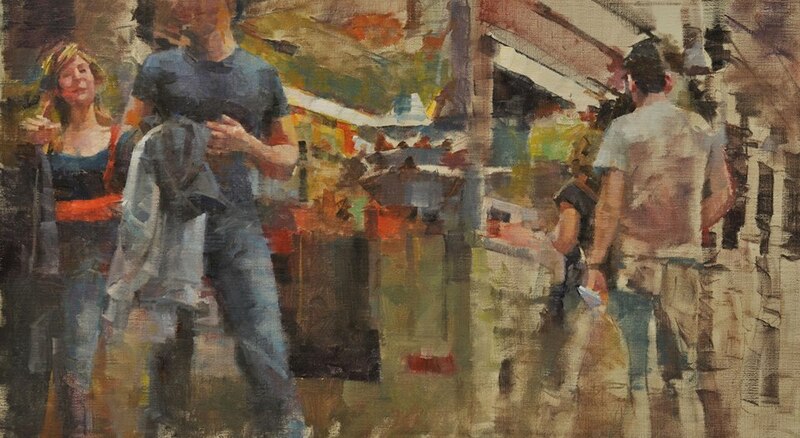 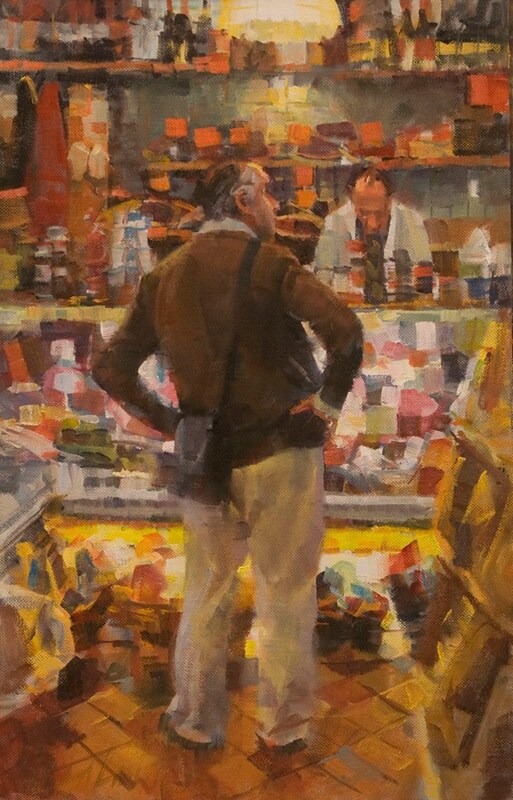 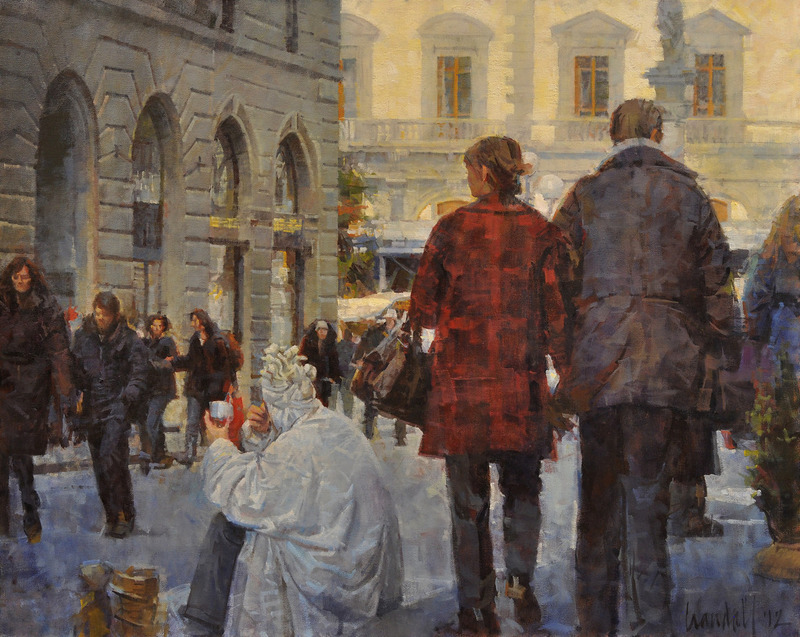 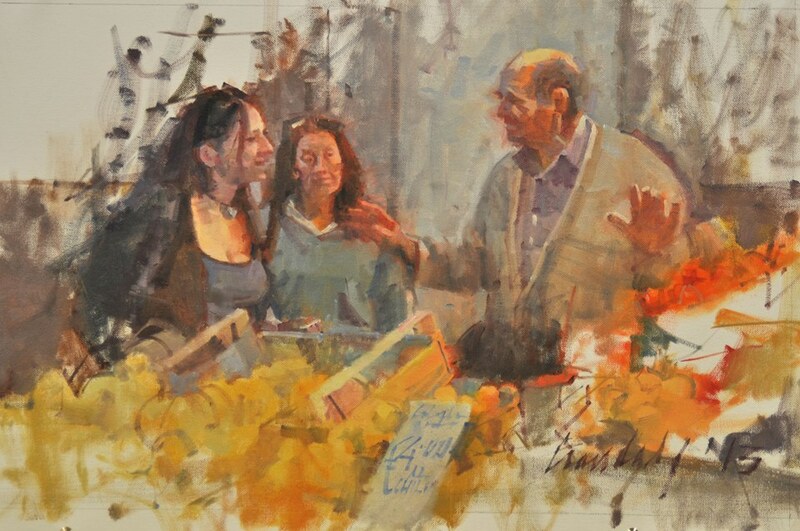 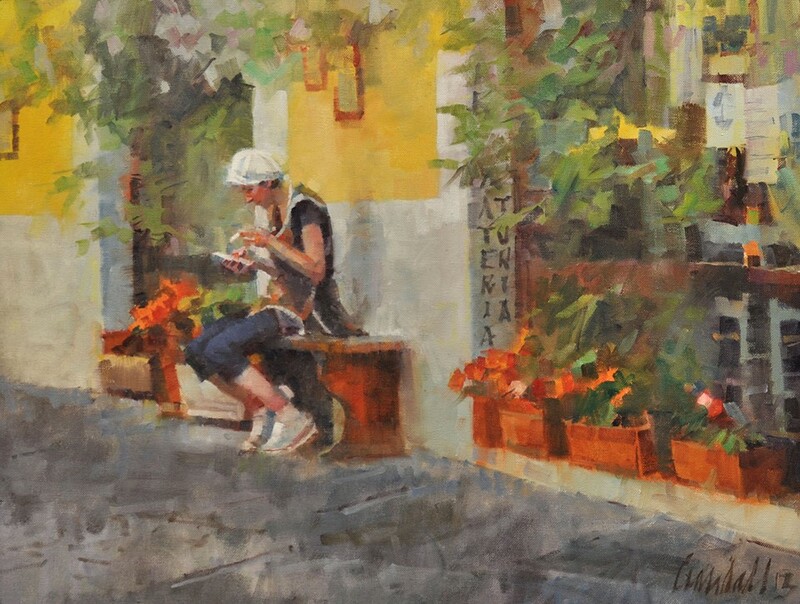 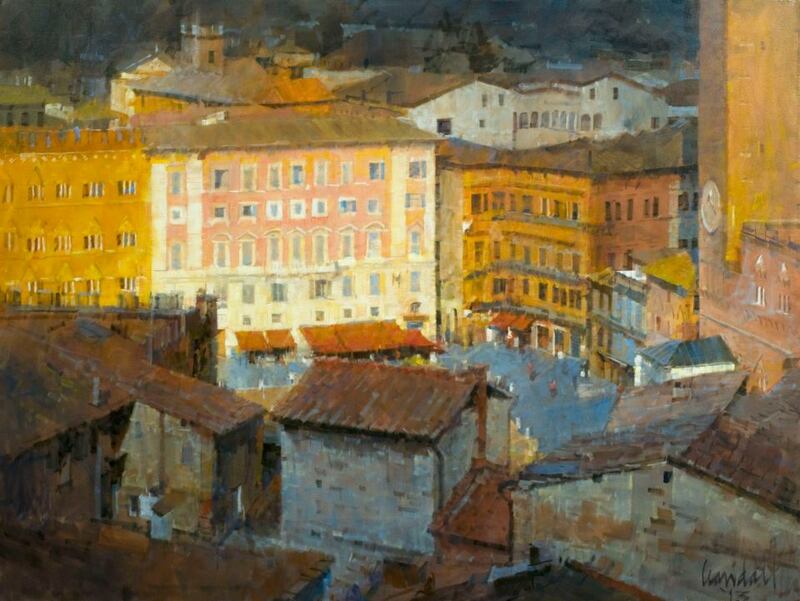 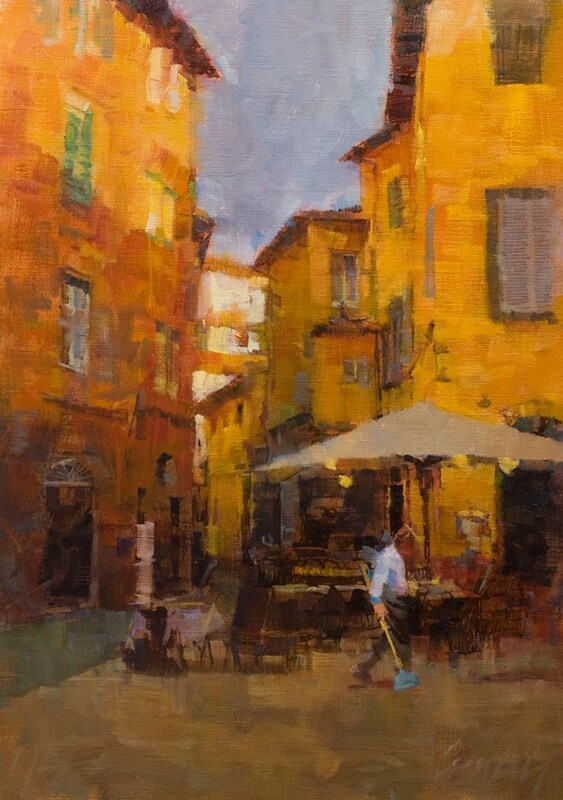 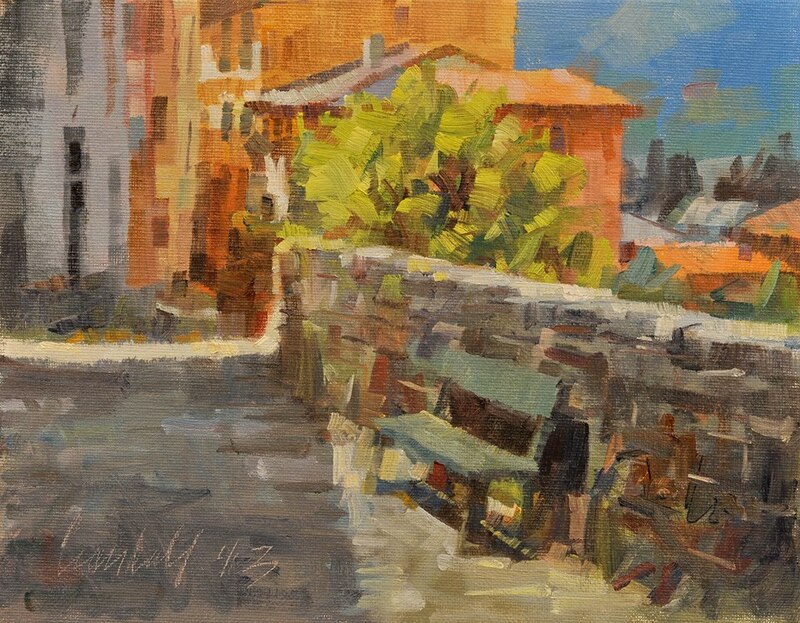 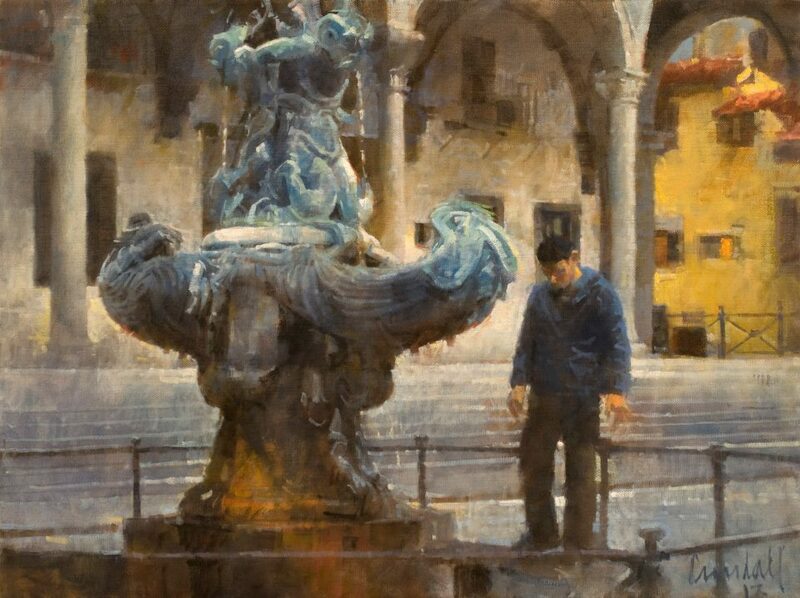 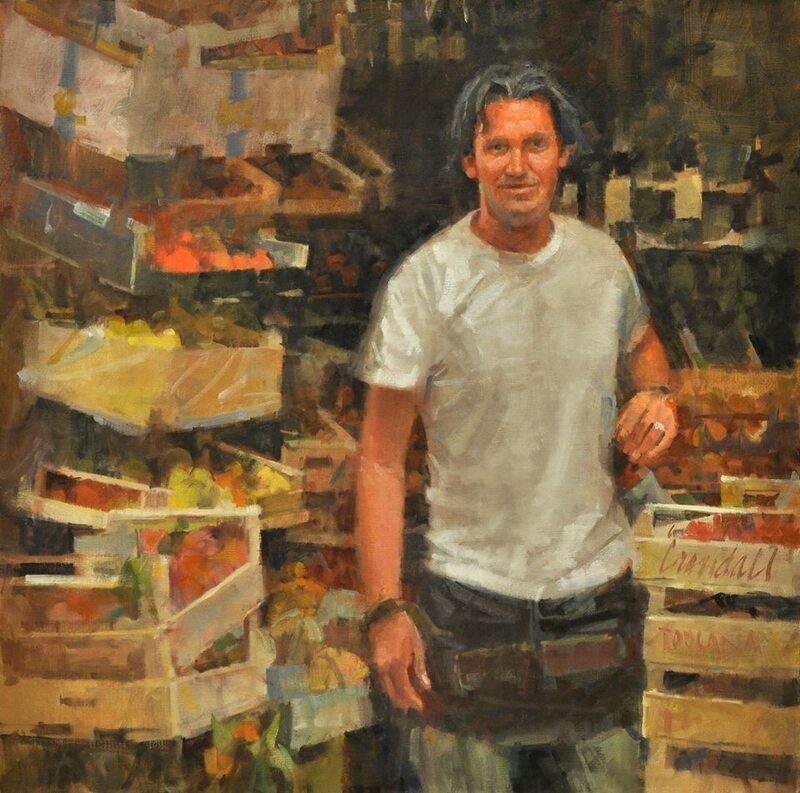 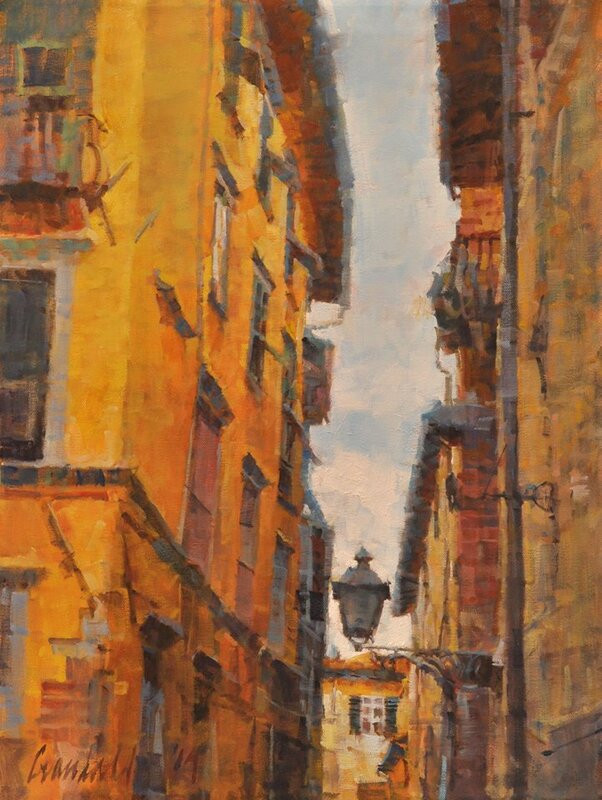 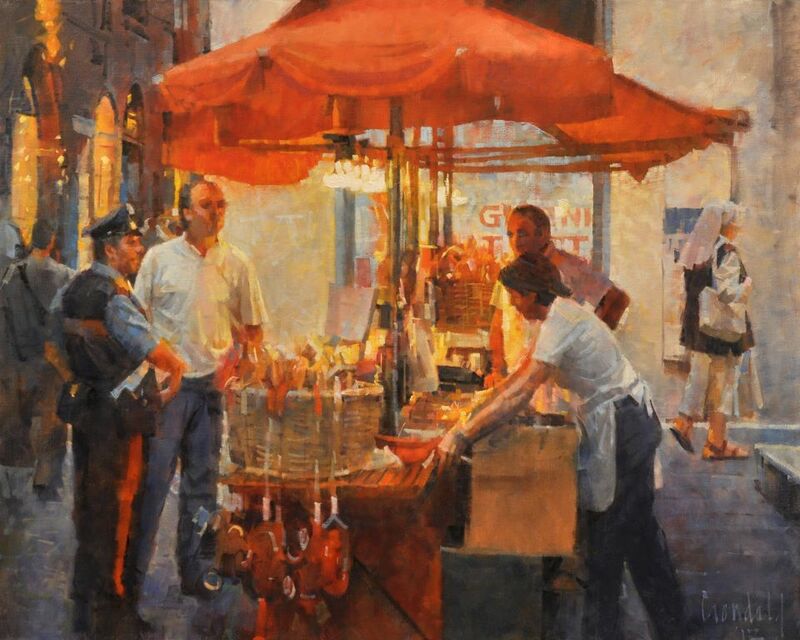 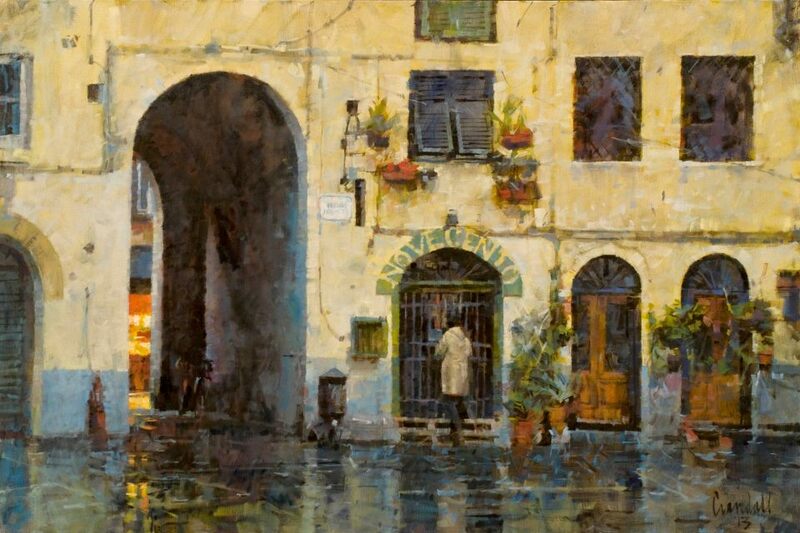 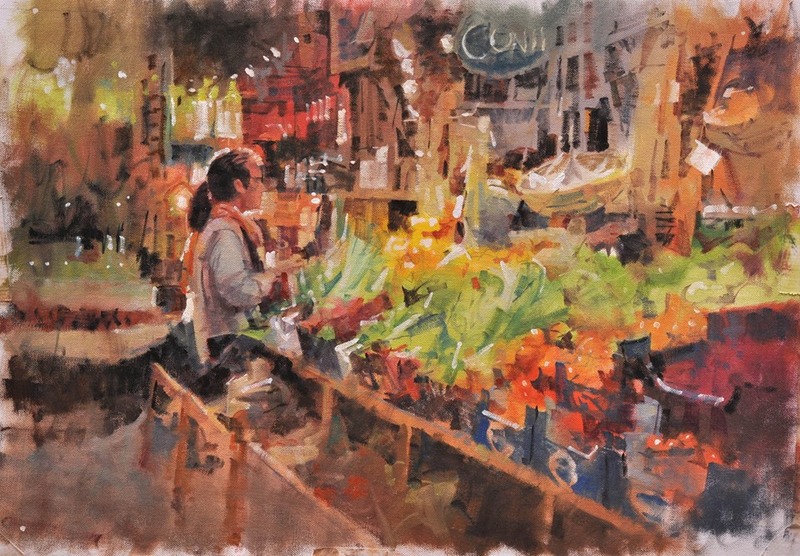 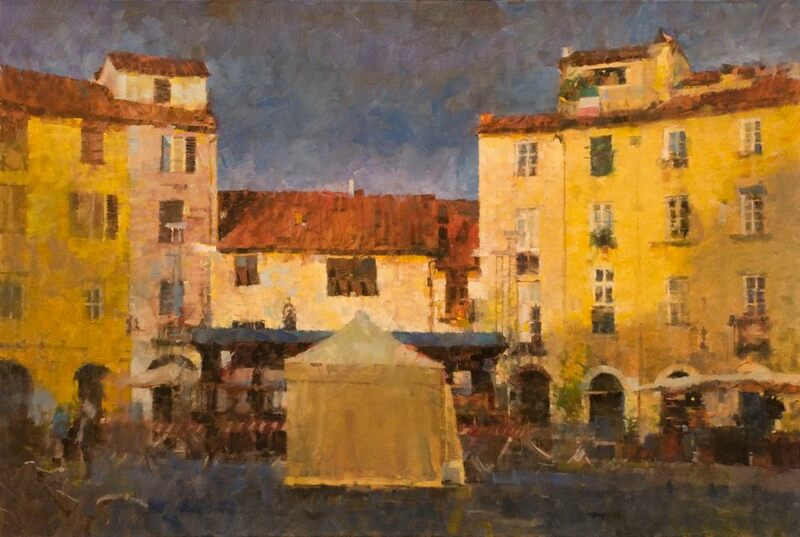 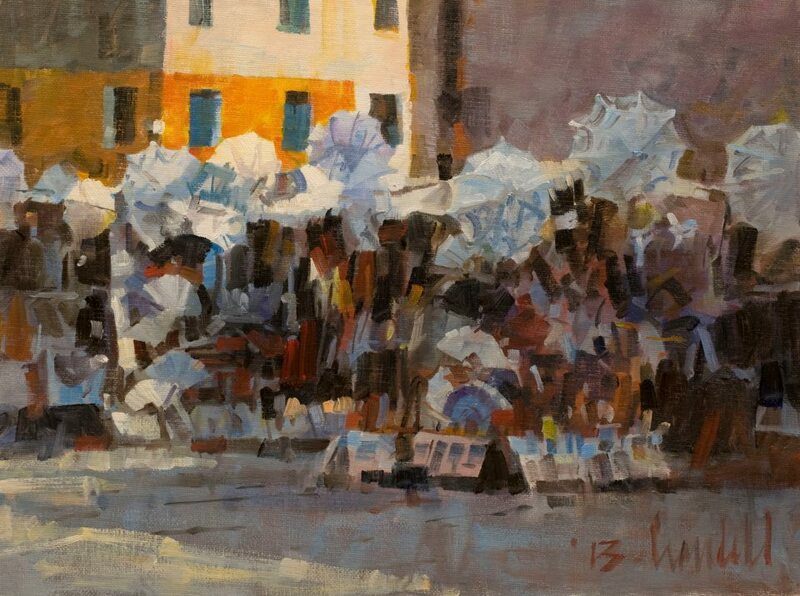 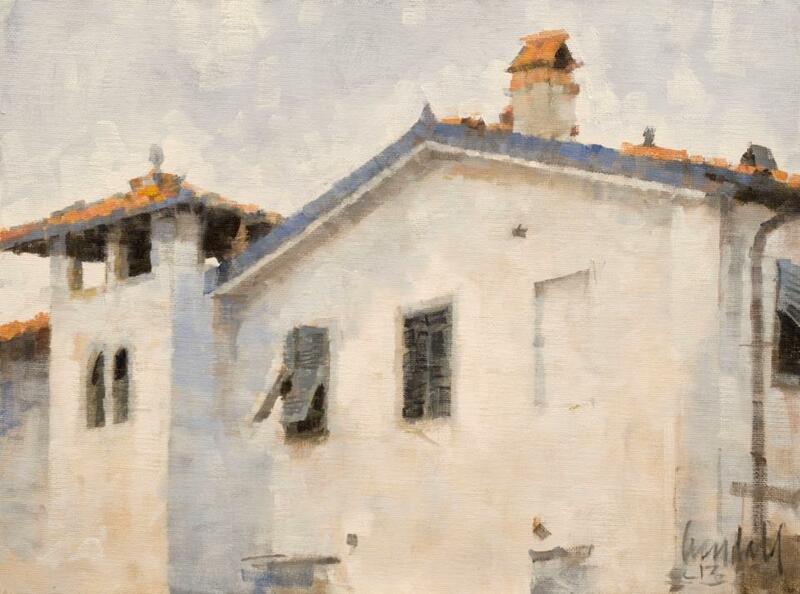 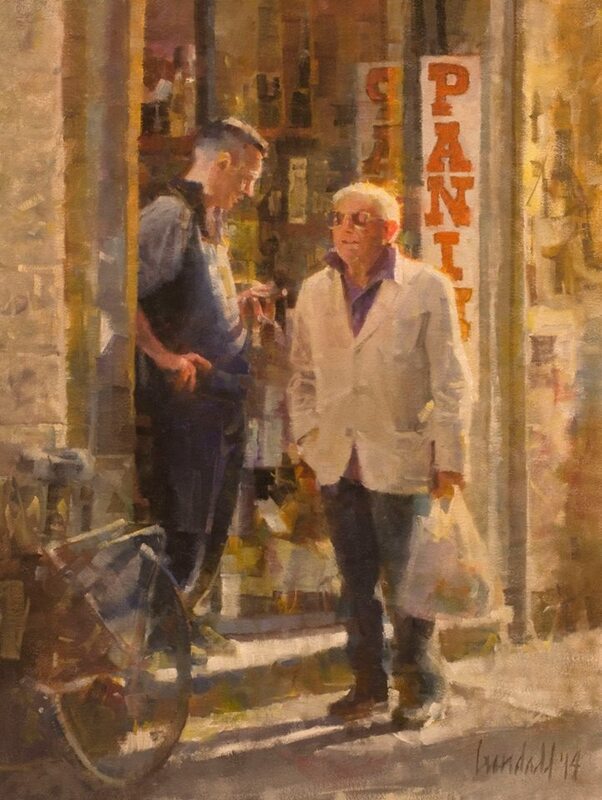 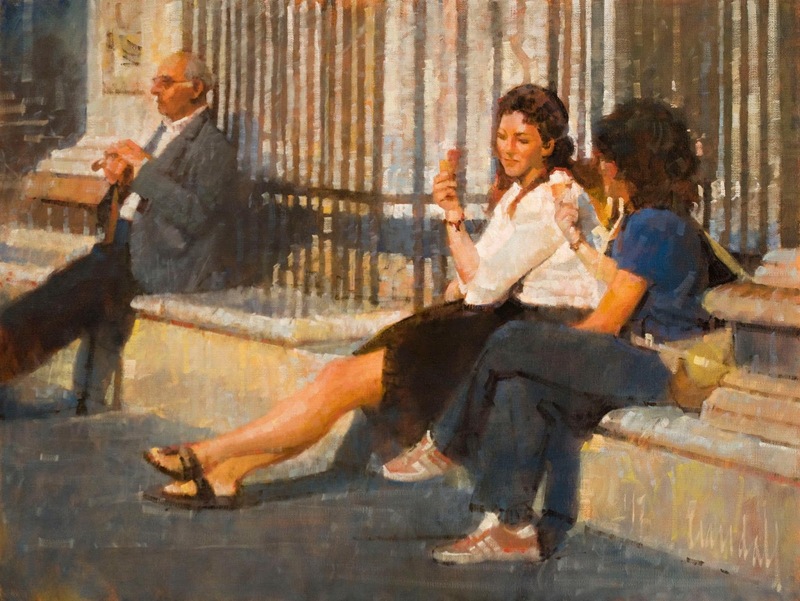 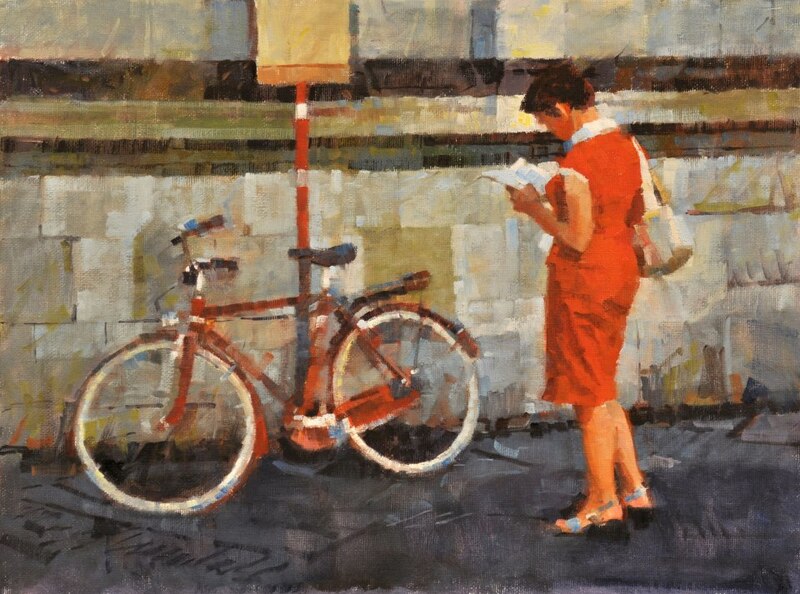 An ongoing series of paintings depicts life in his maternal grandfather's hometown of Lucca in northern Tuscany, where he regularly visits. 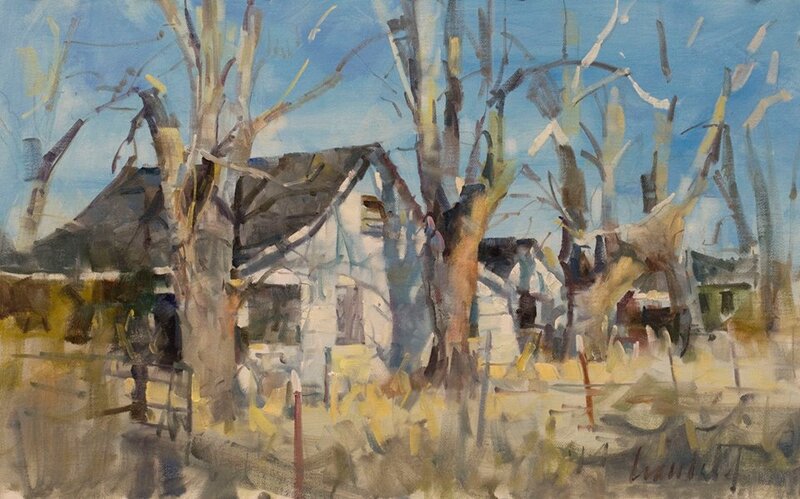 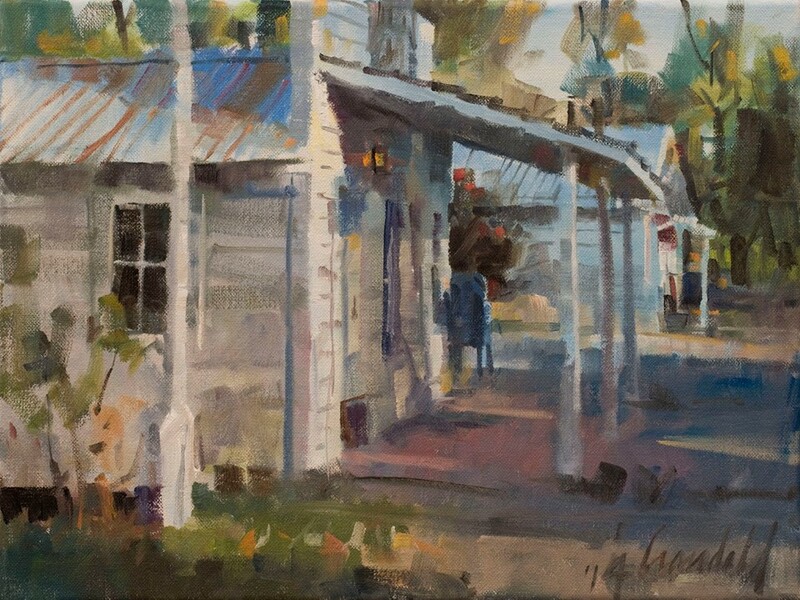 Recent work also includes scenes from the rural backroads of California's Gold Country, where he and his wife Nancy make their home. 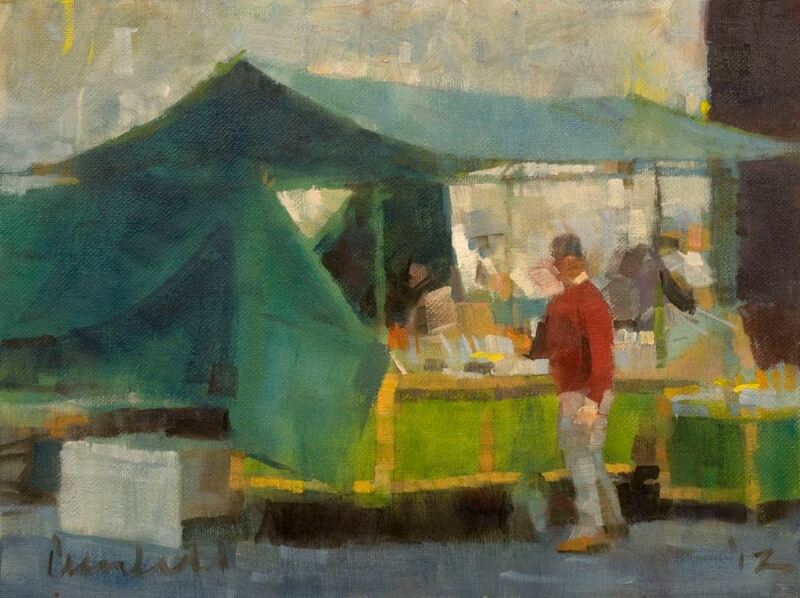 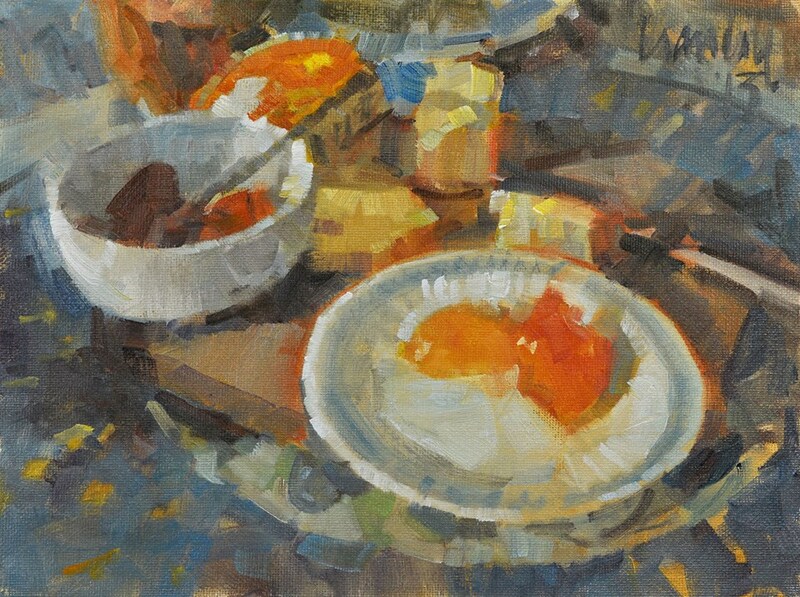 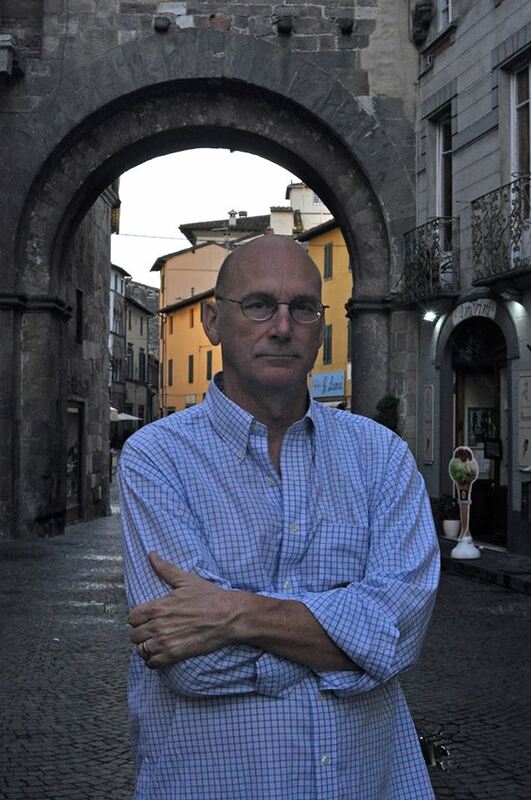 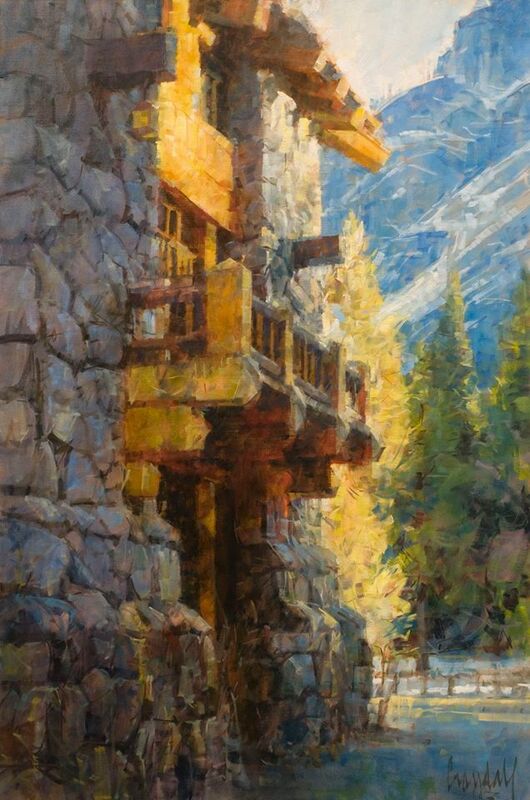 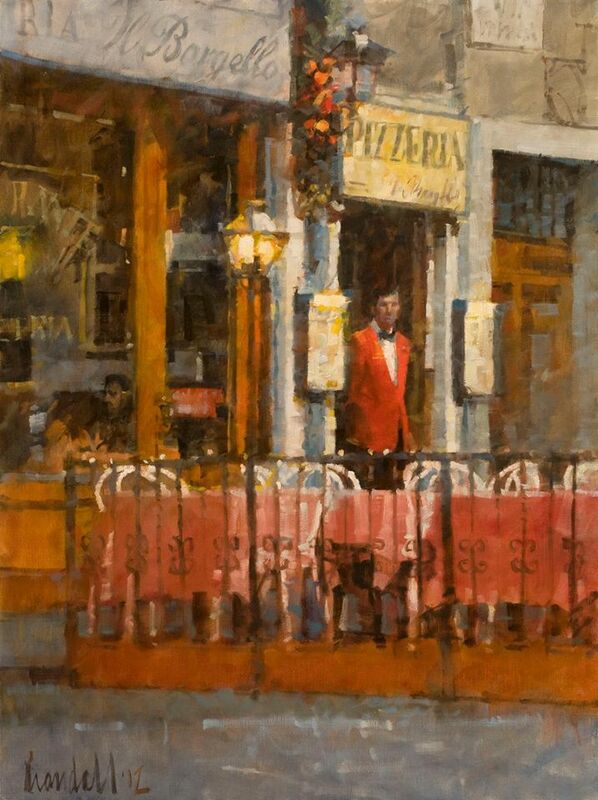 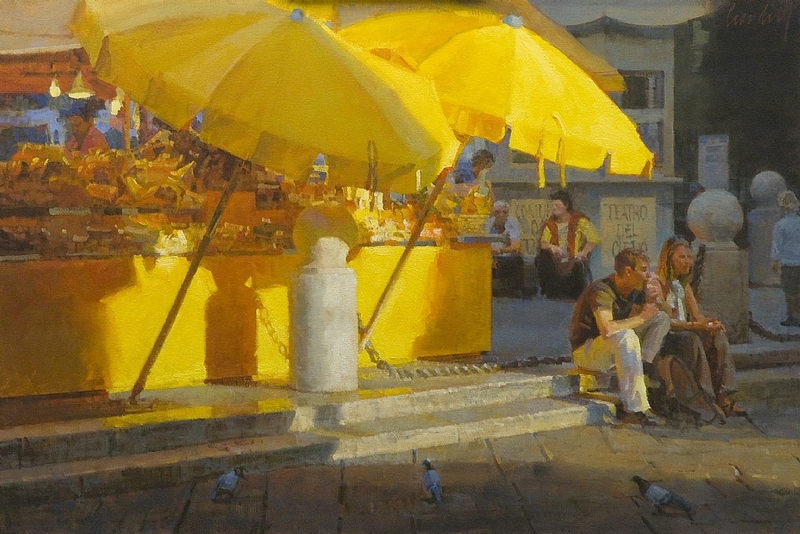 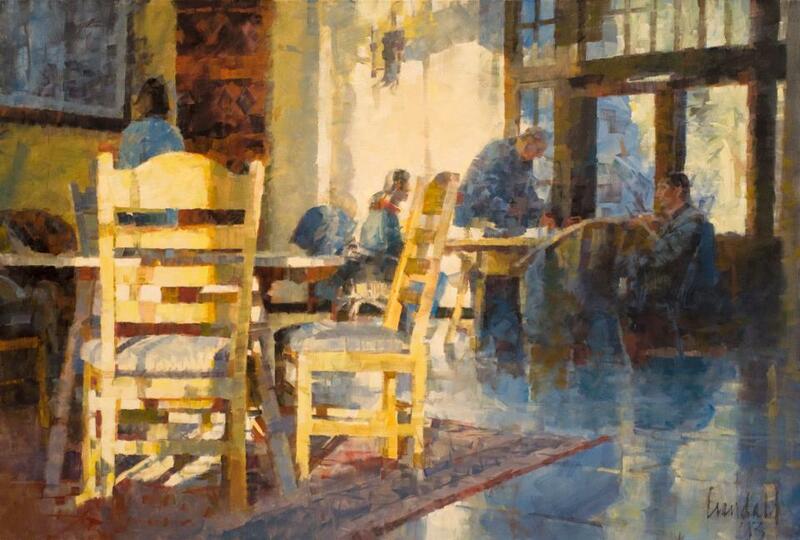 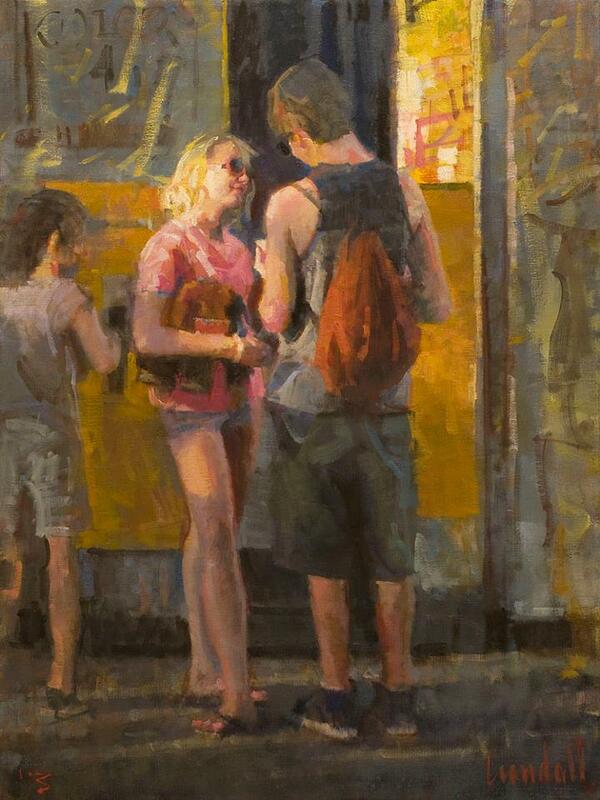 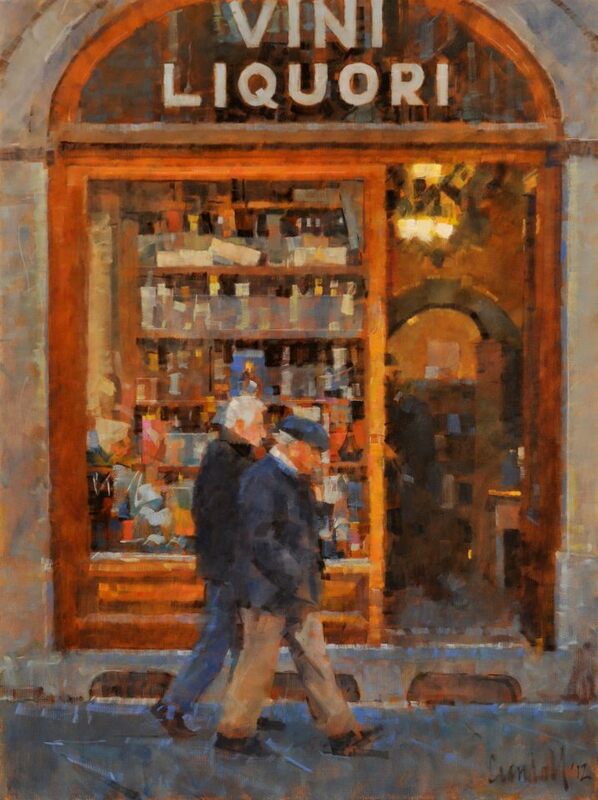 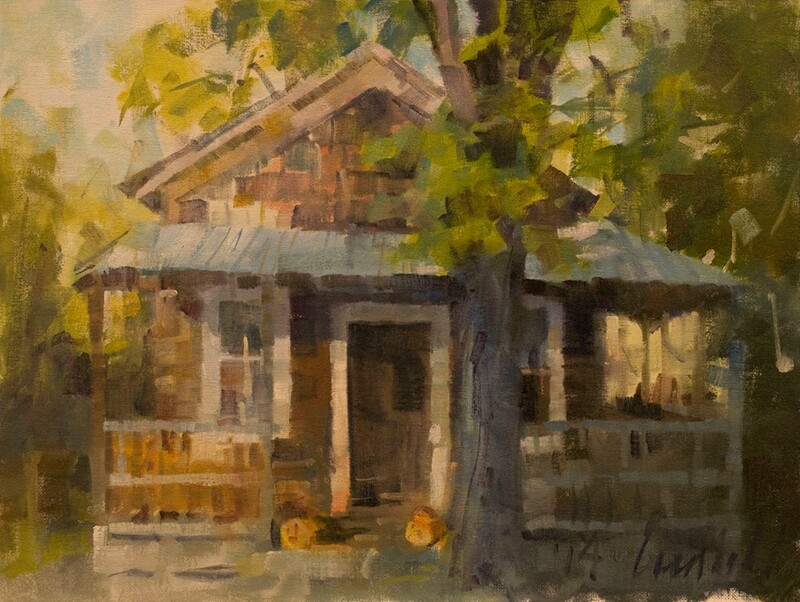 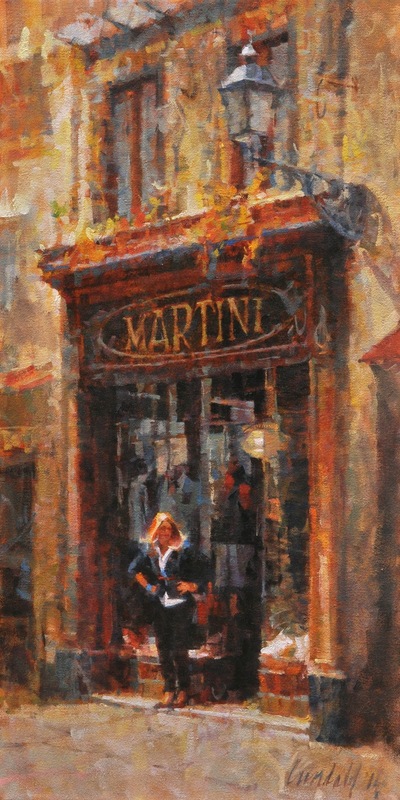 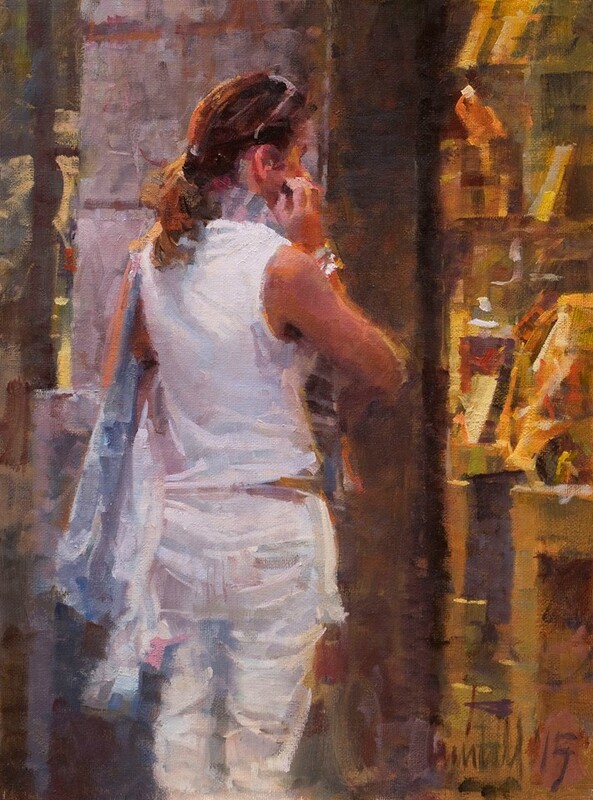 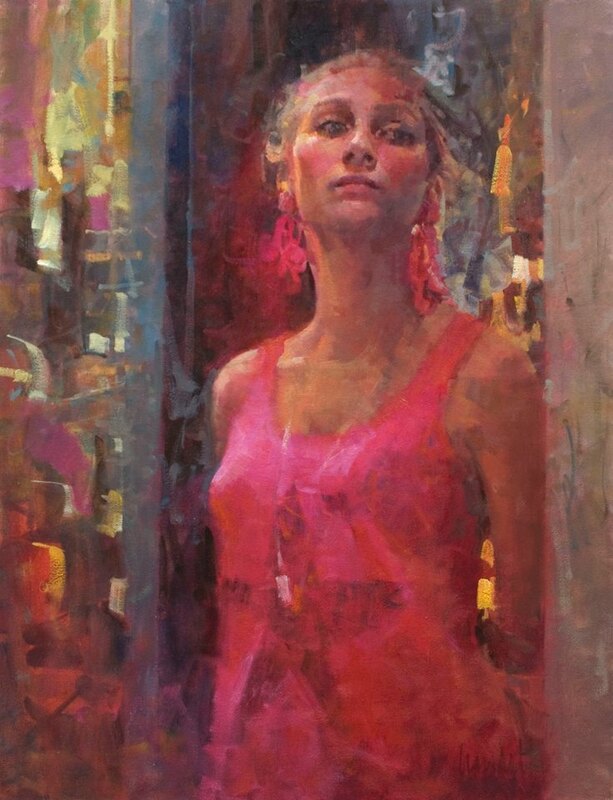 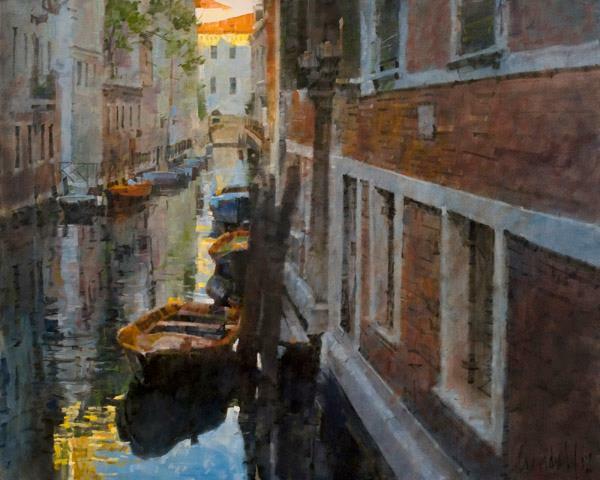 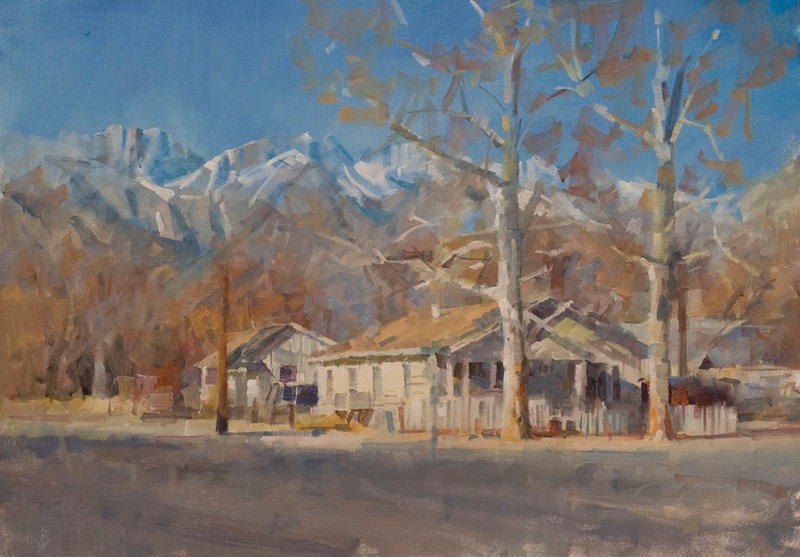 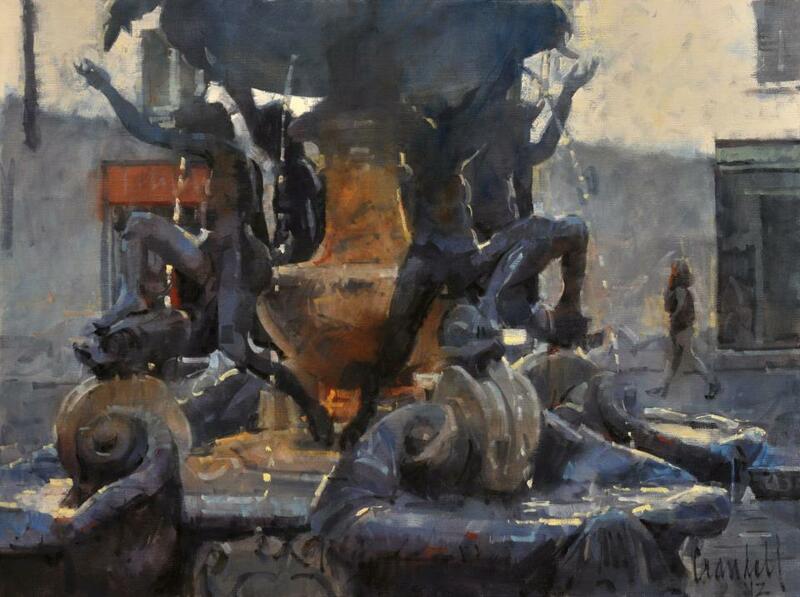 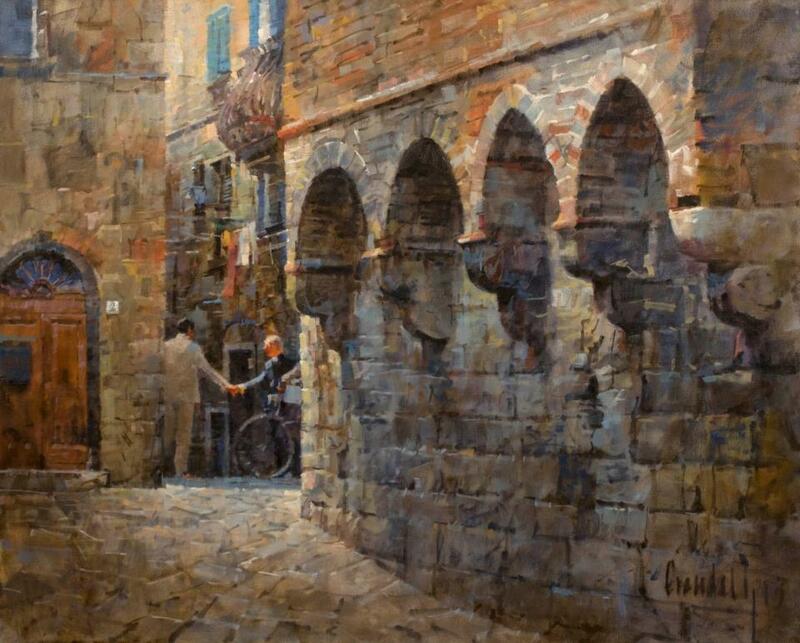 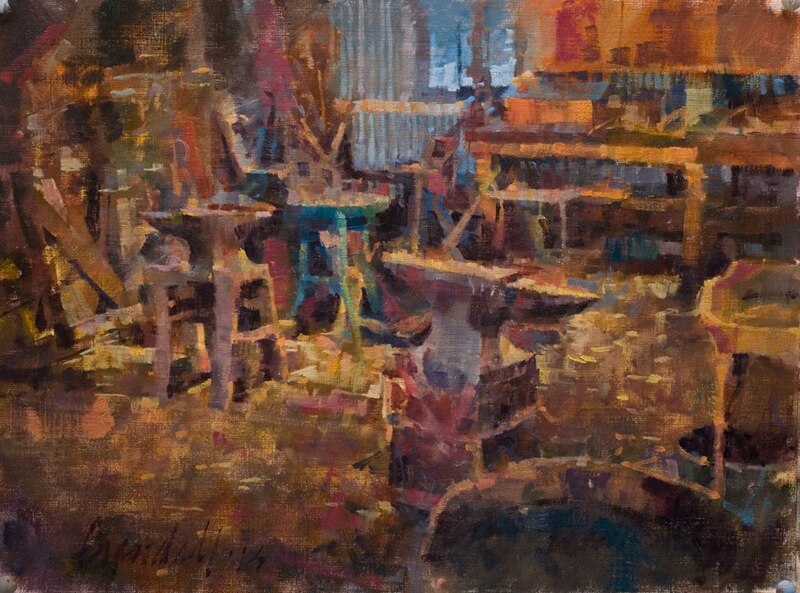 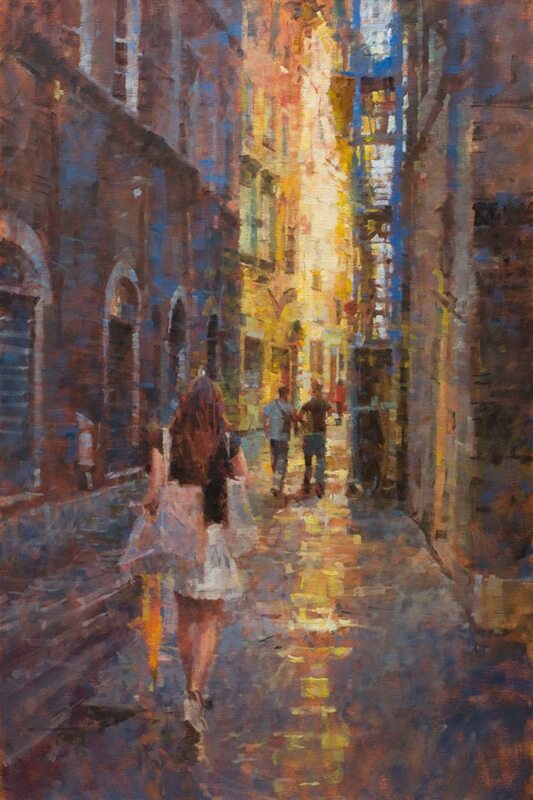 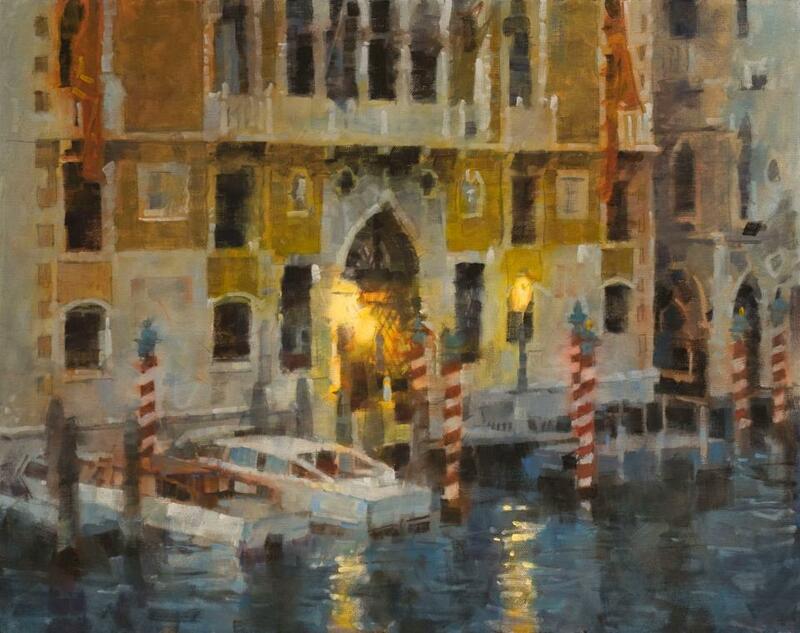 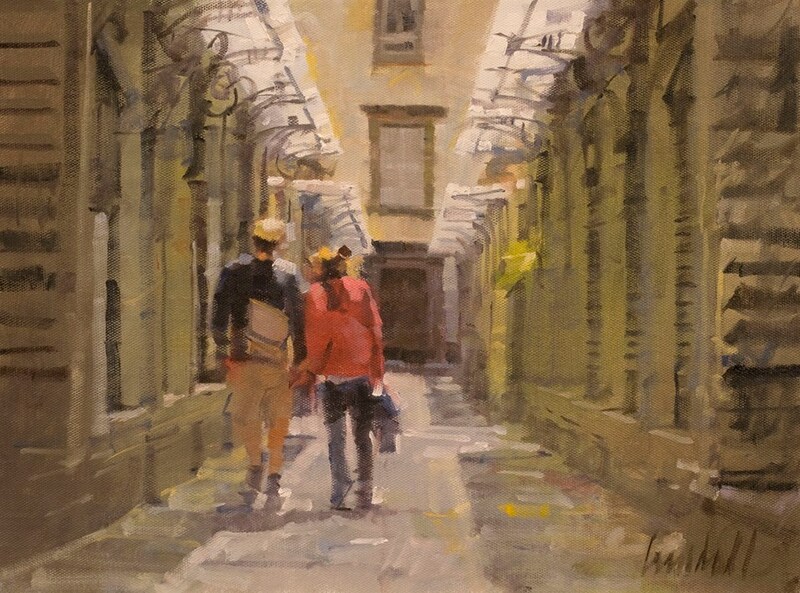 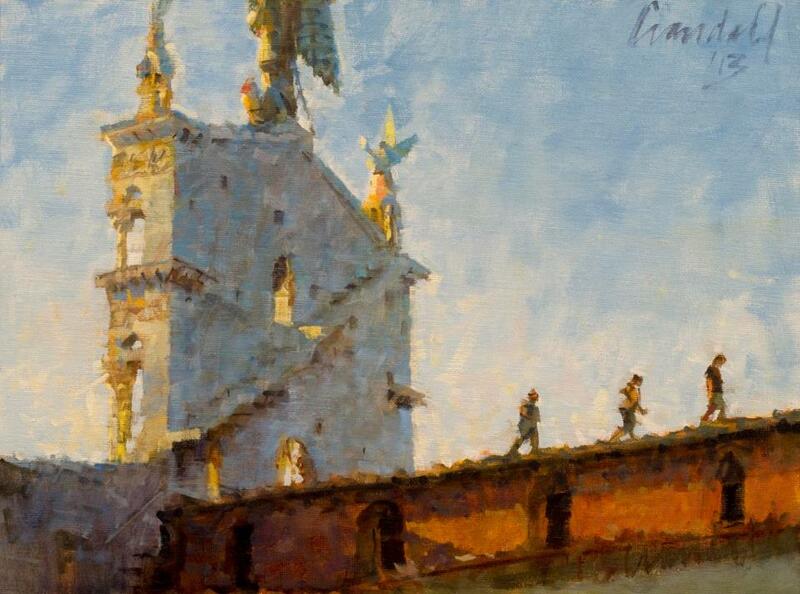 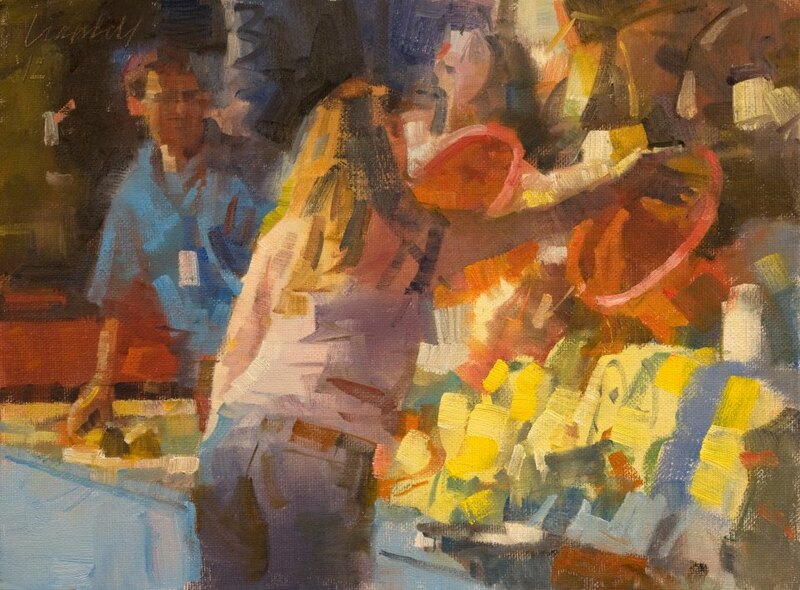 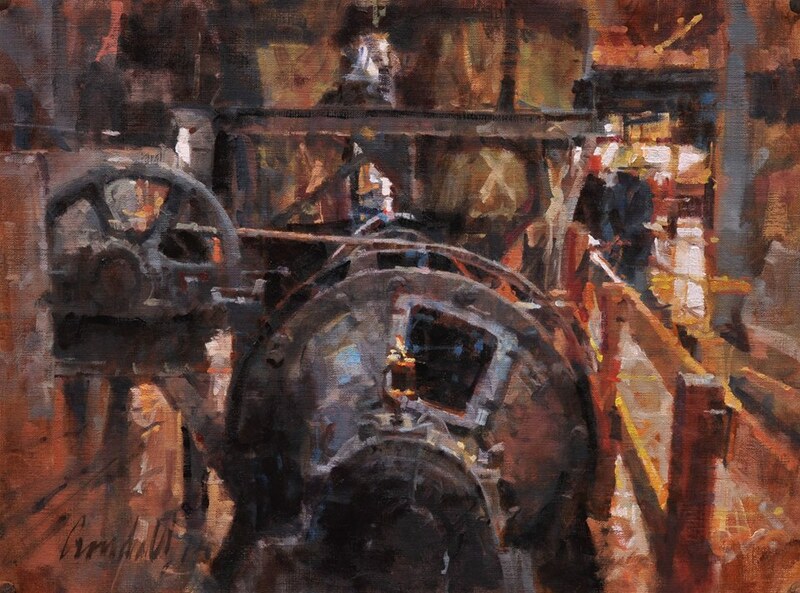 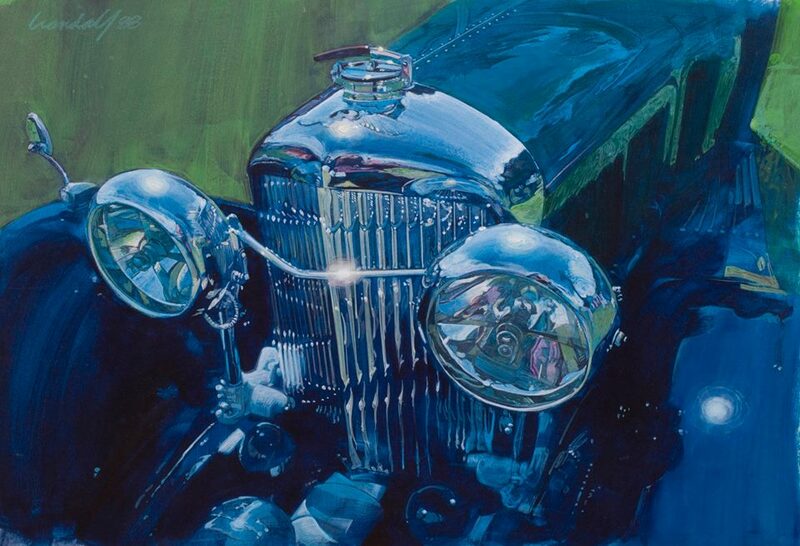 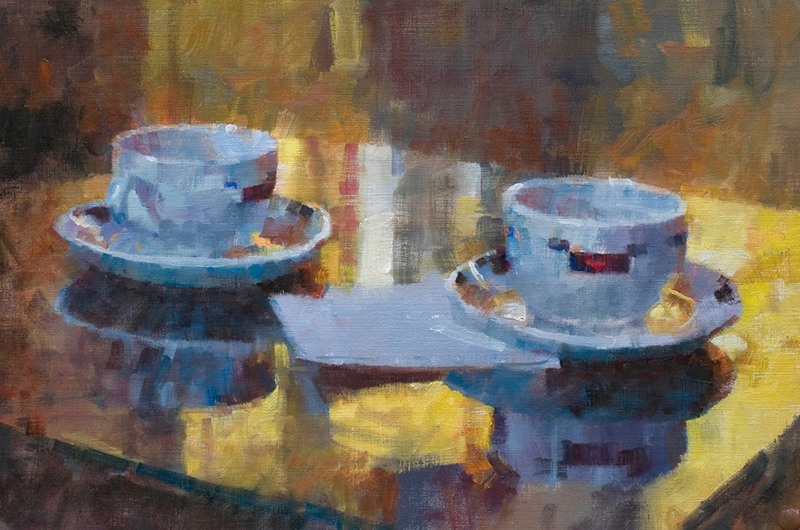 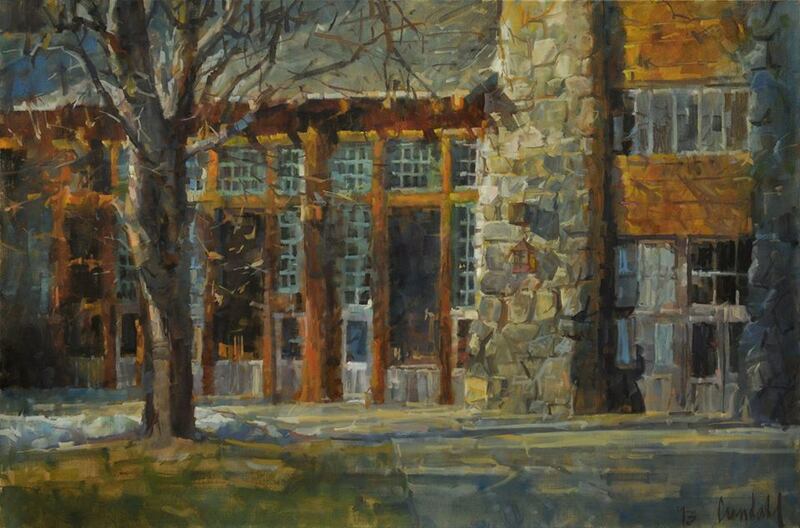 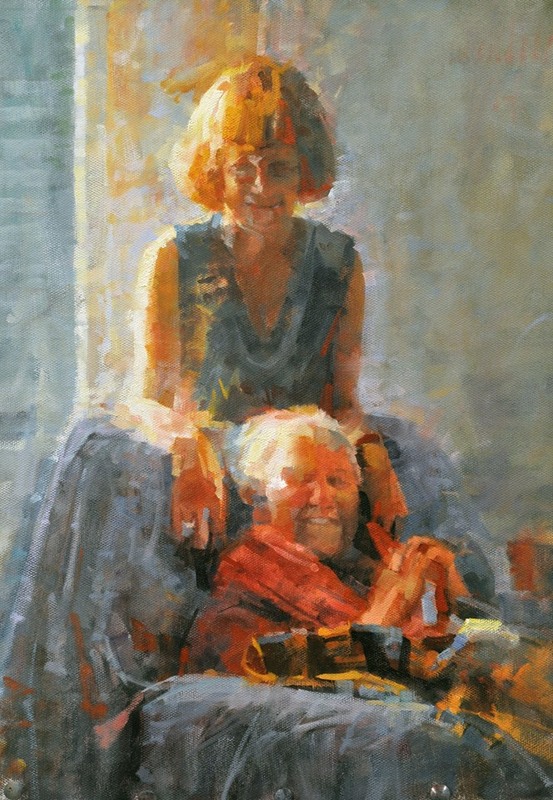 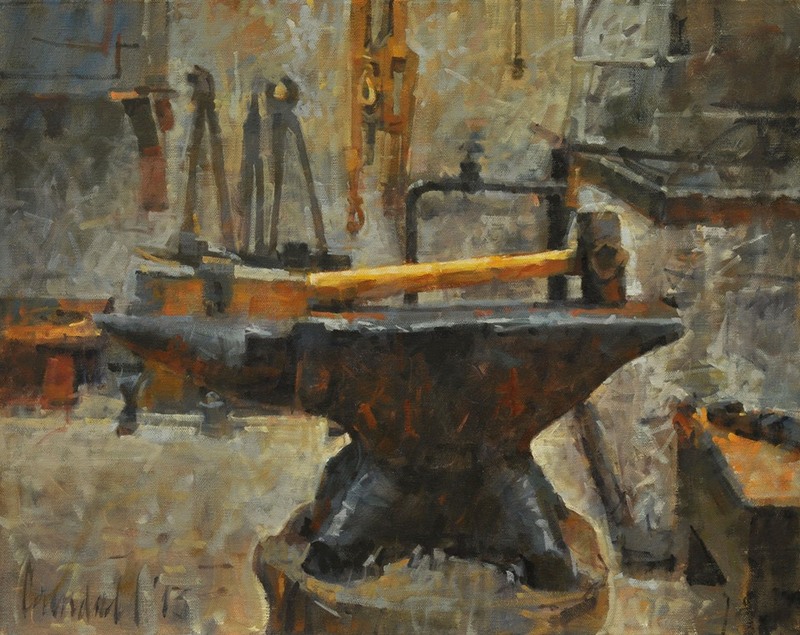 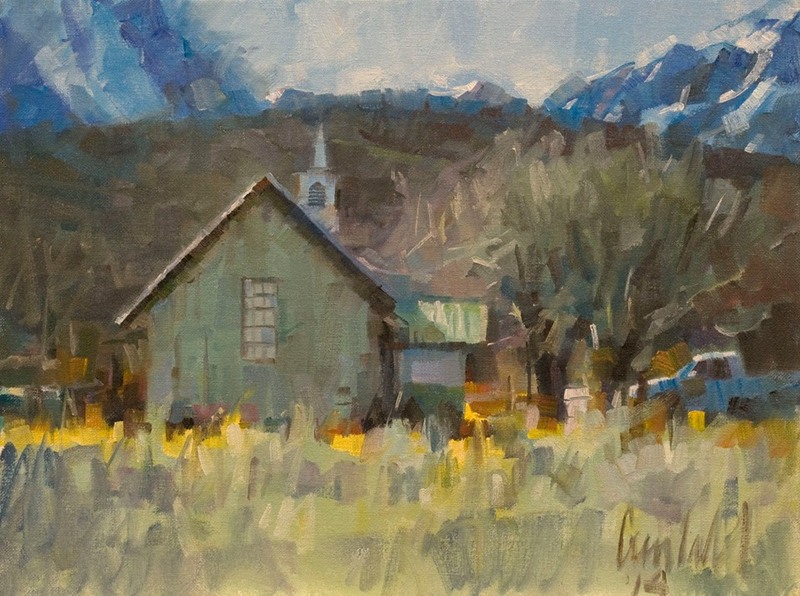 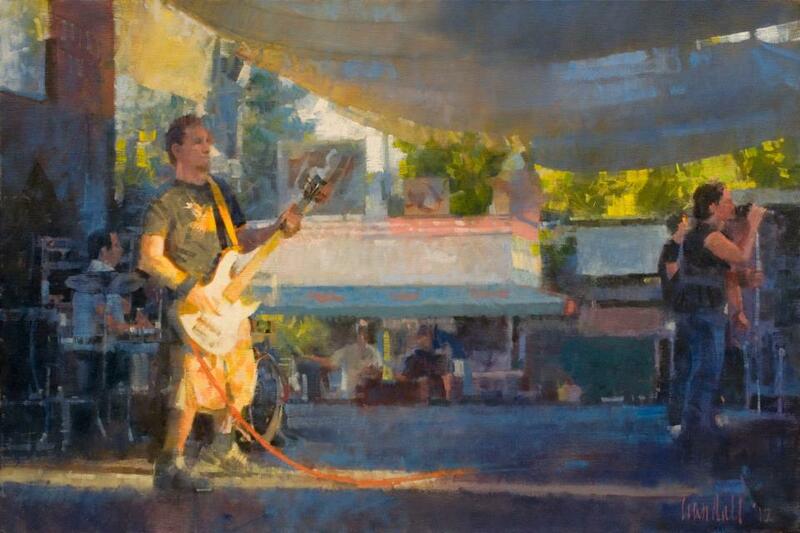 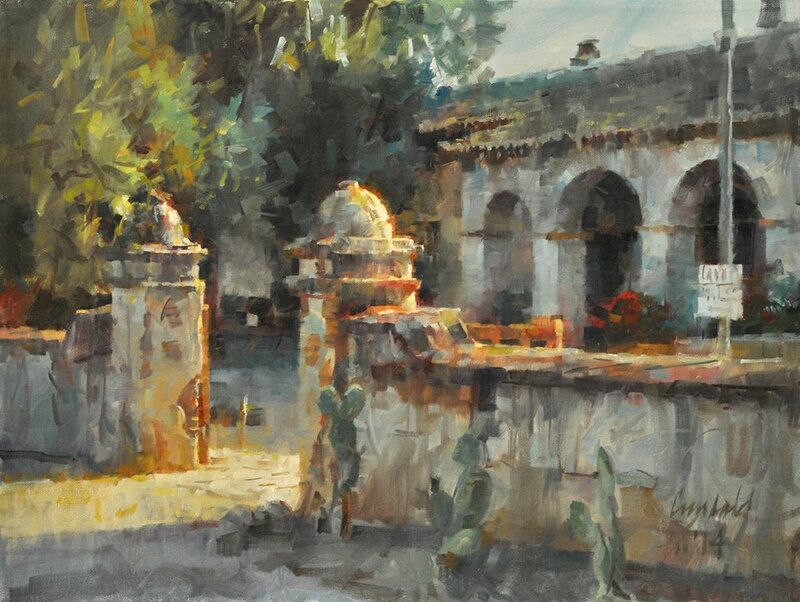 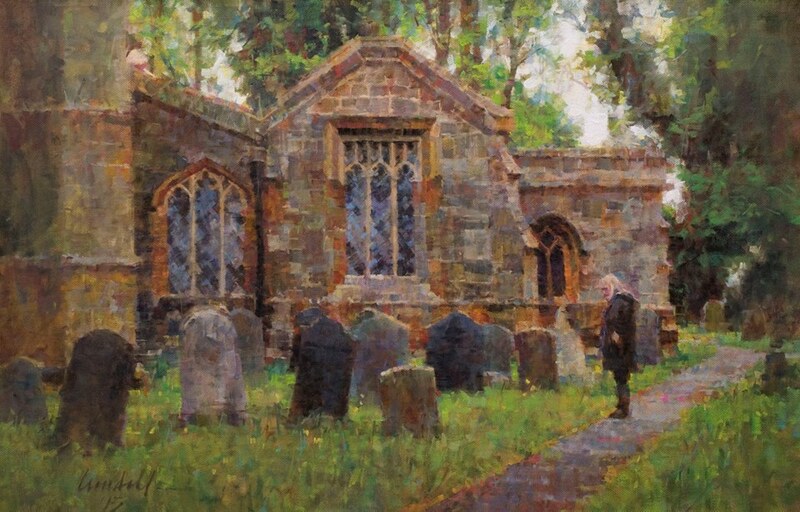 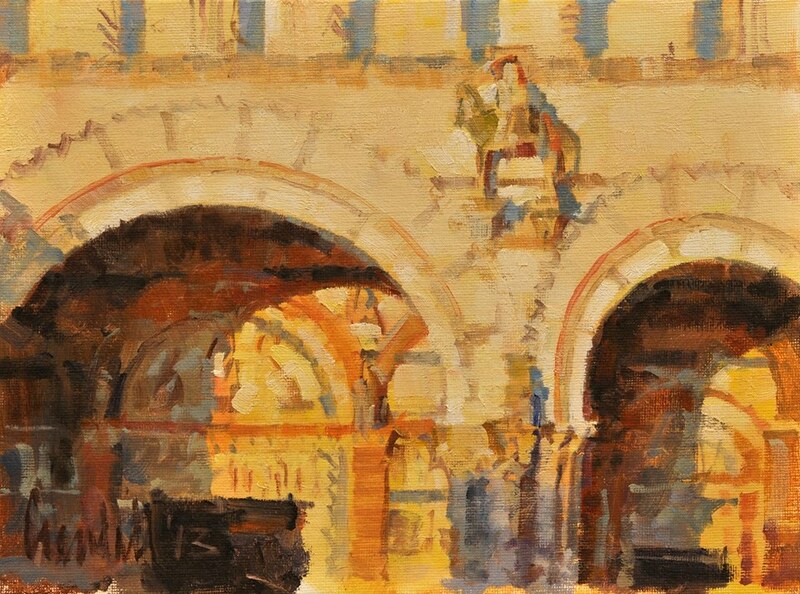 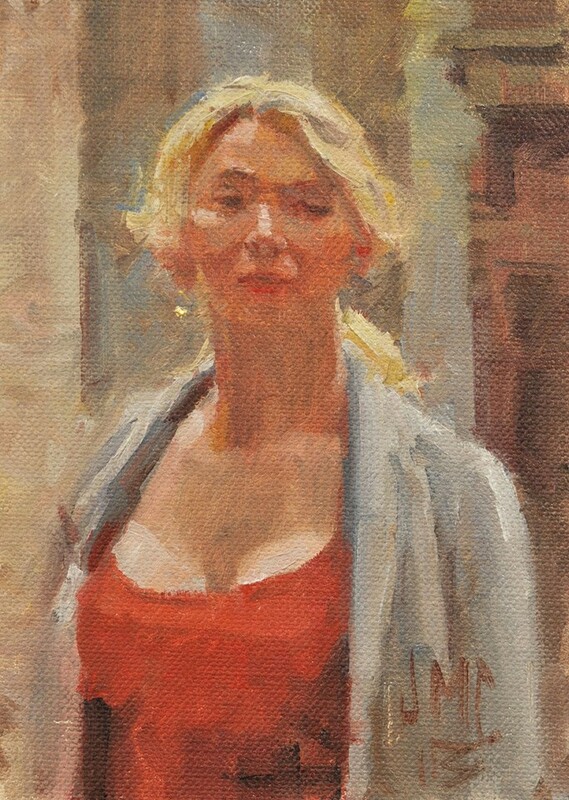 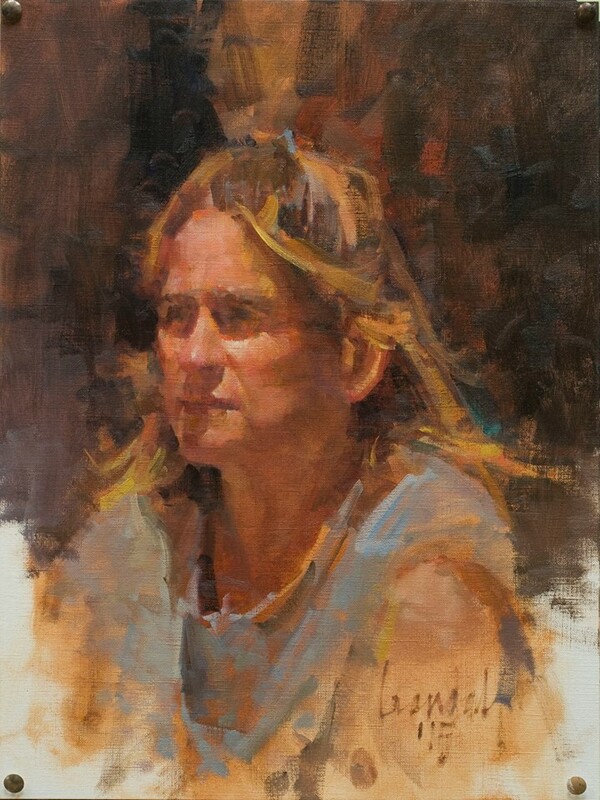 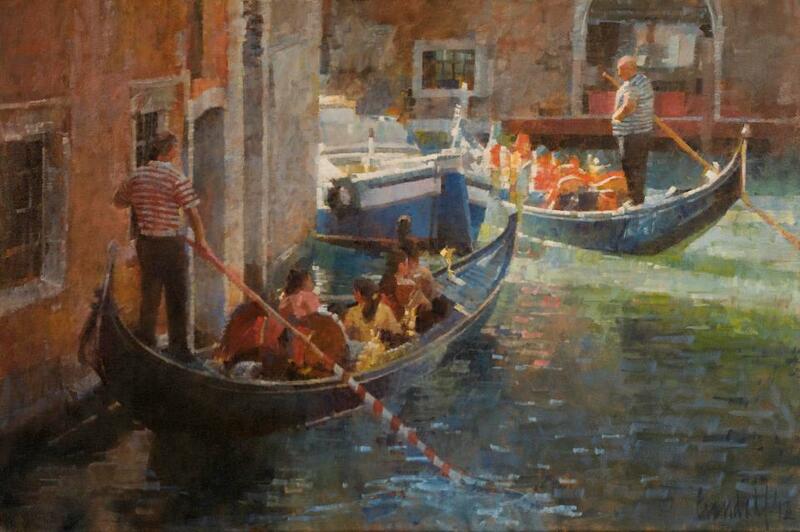 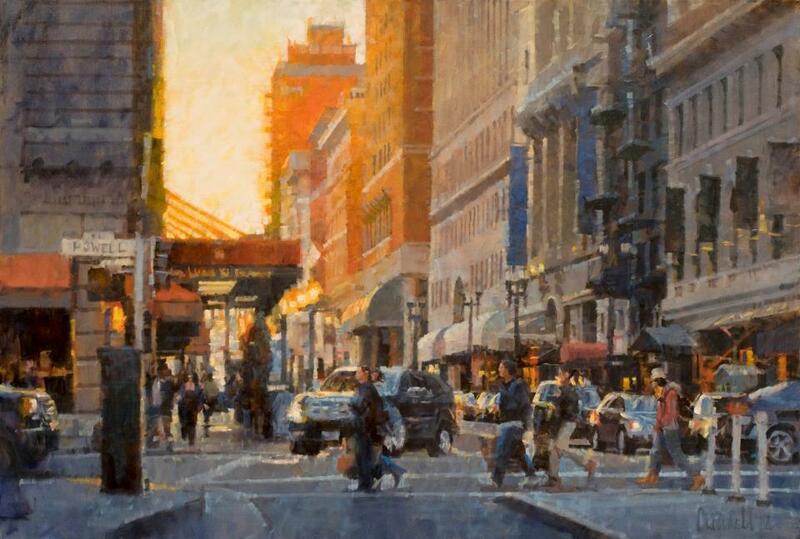 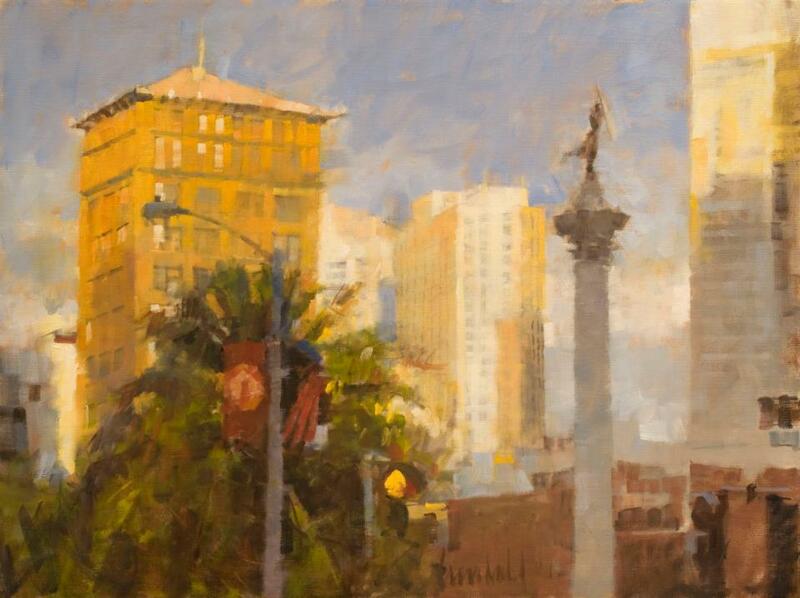 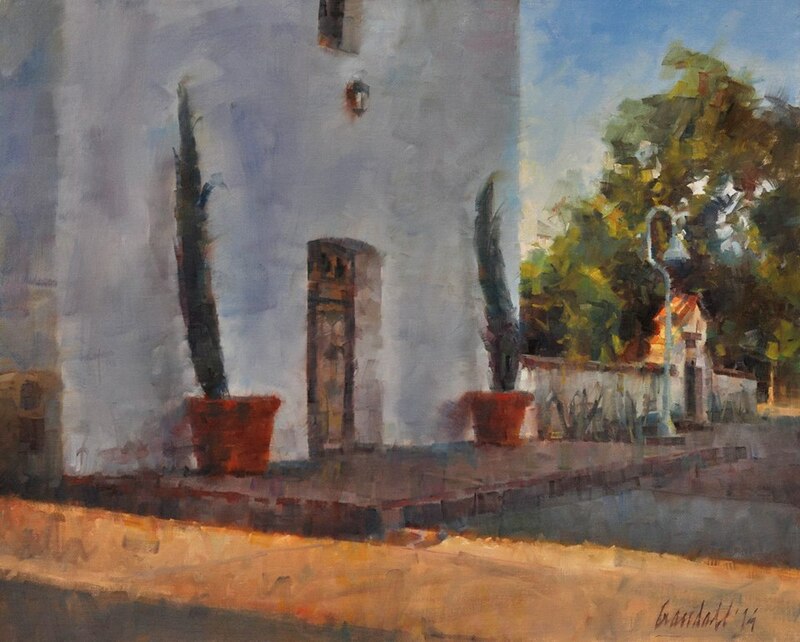 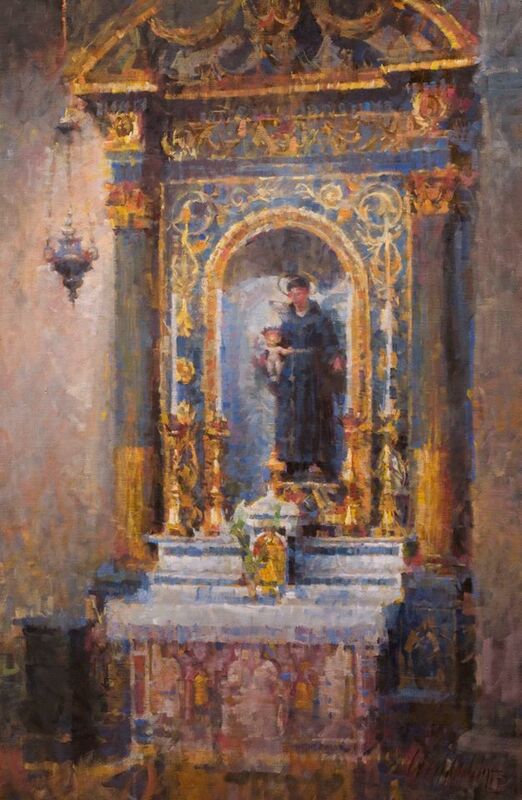 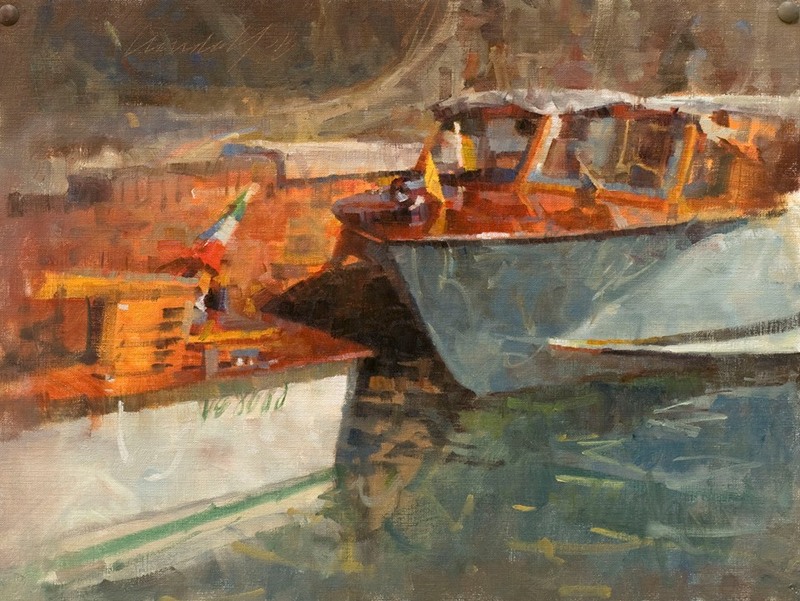 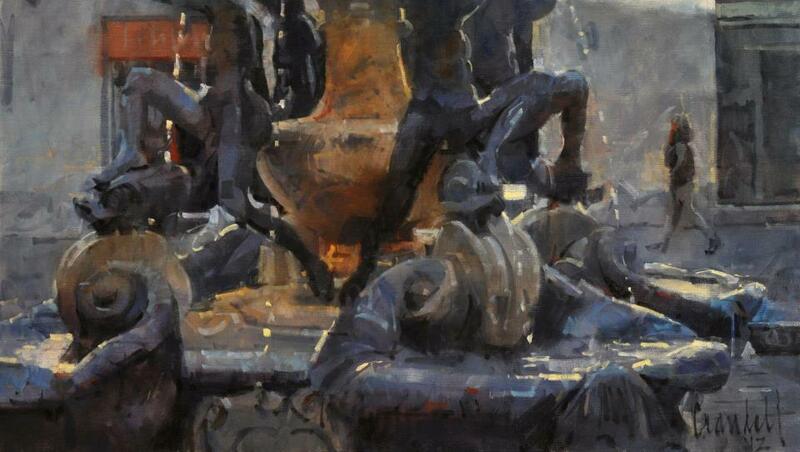 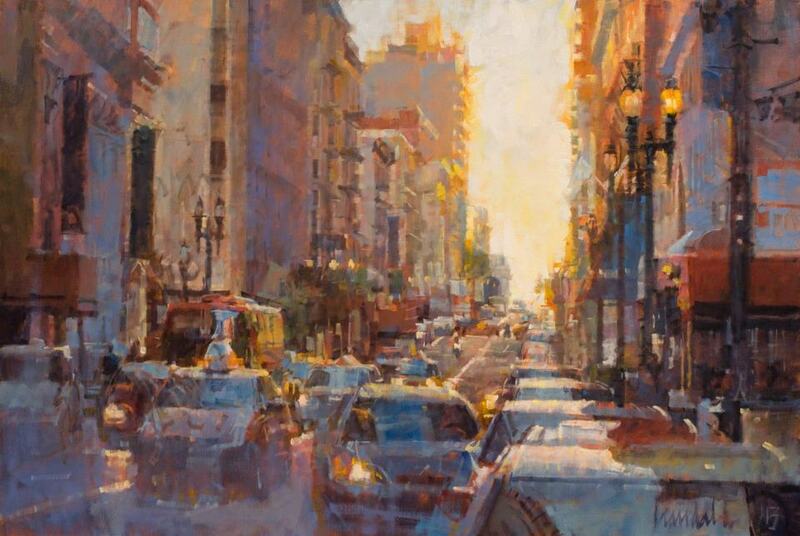 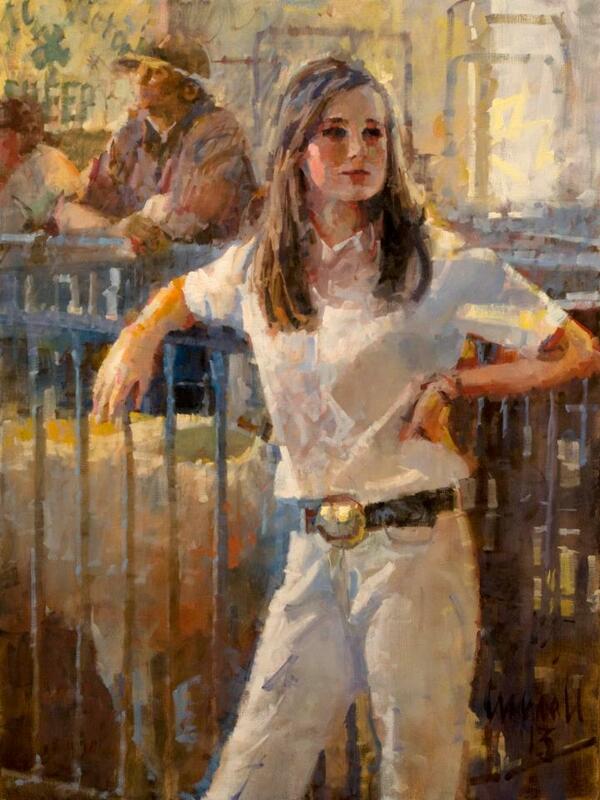 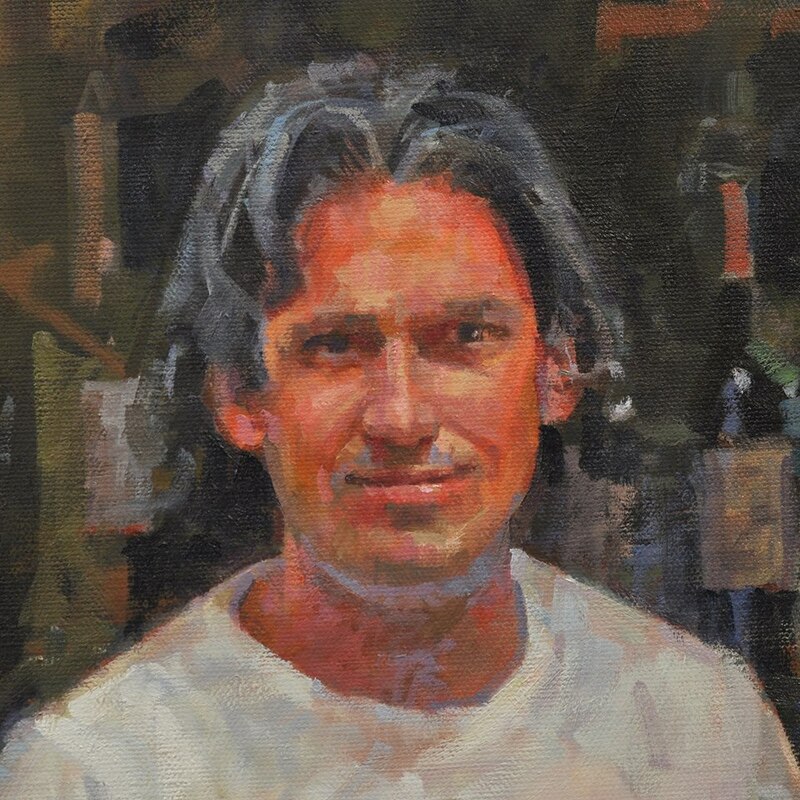 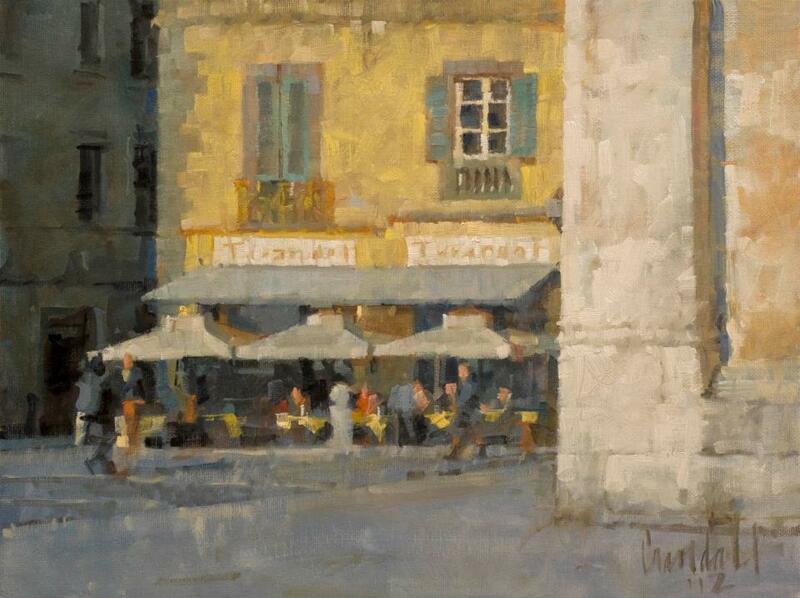 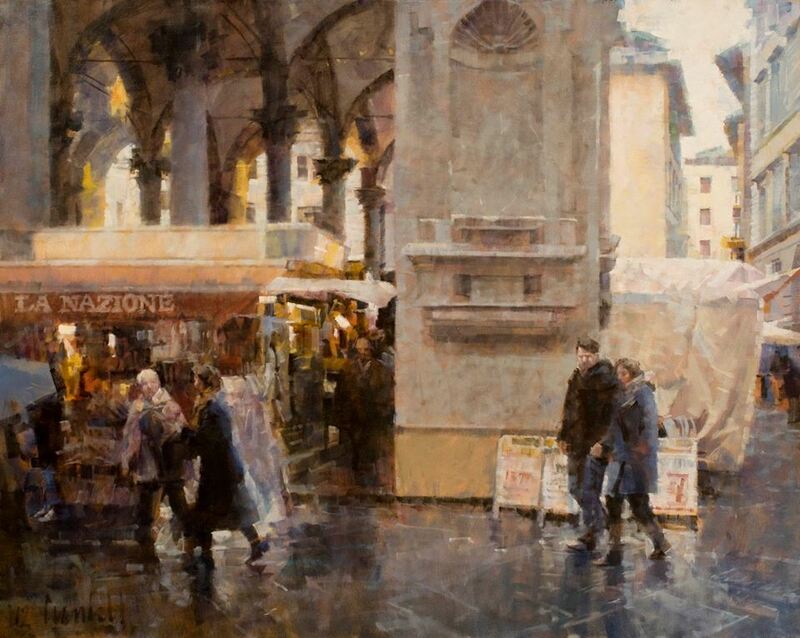 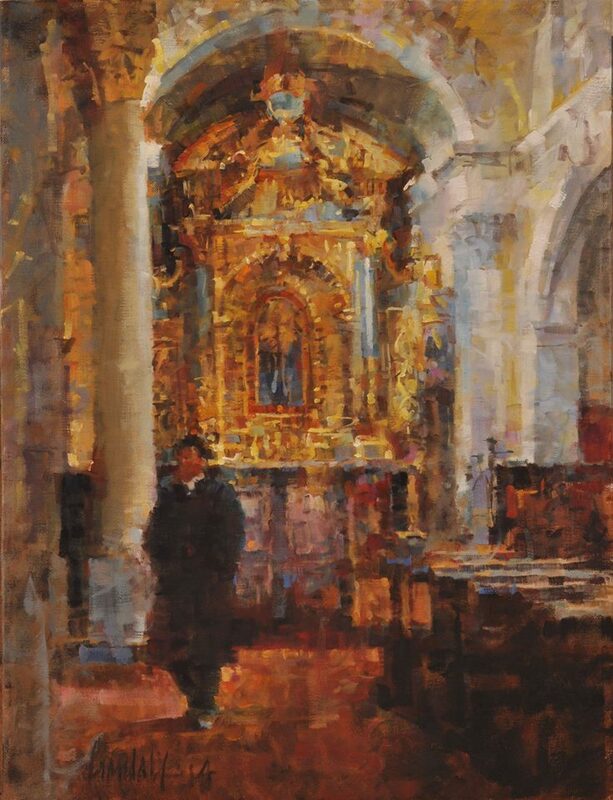 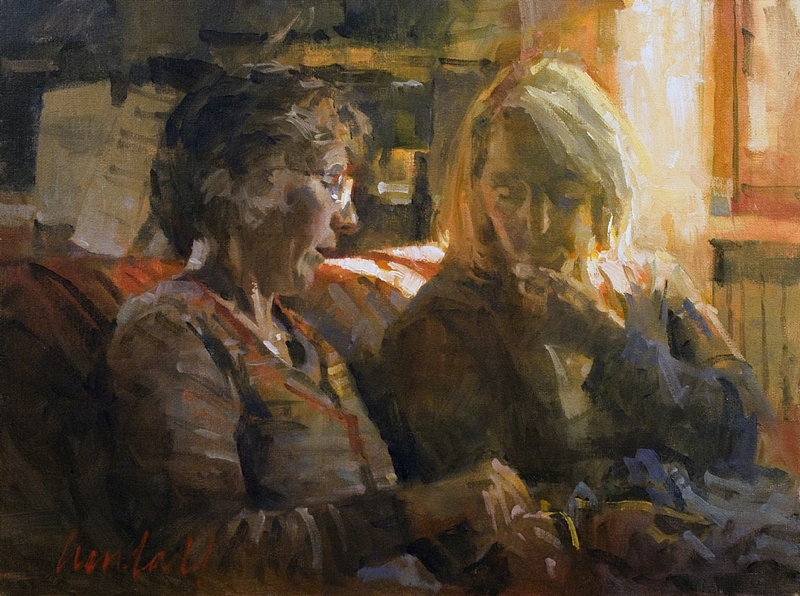 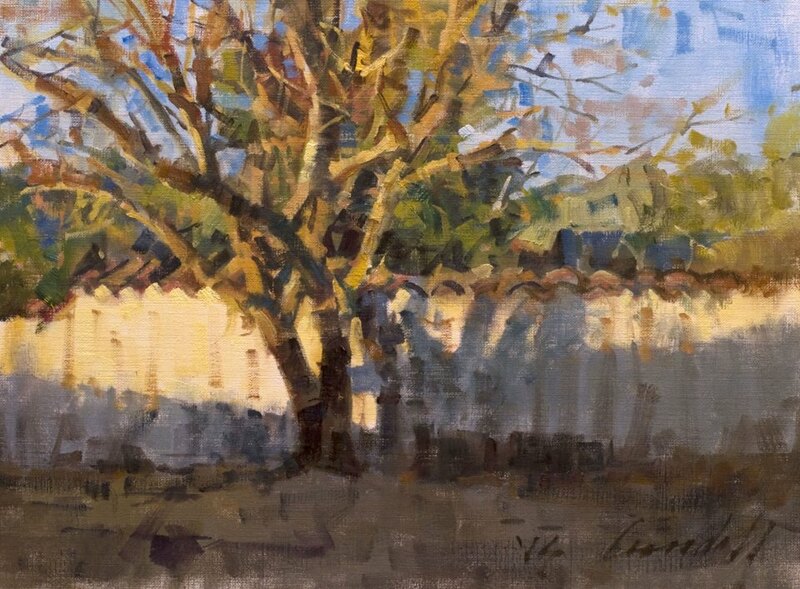 He is a Signature Member of the Oil Painters of America and an Artist Member of the California Art Club. 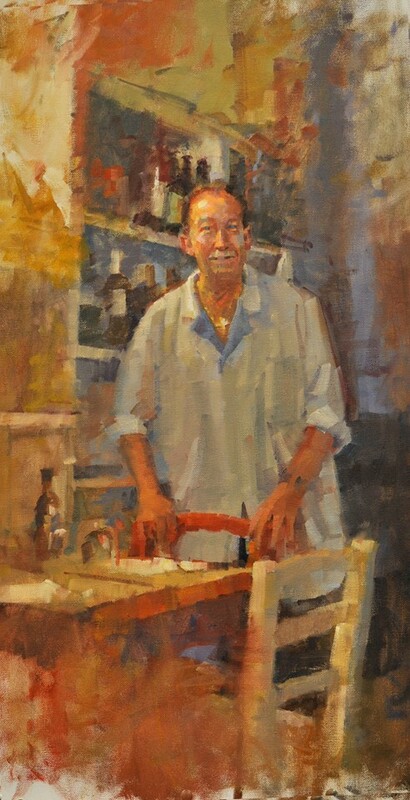 University of California, Los Angeles, 1975-1977. 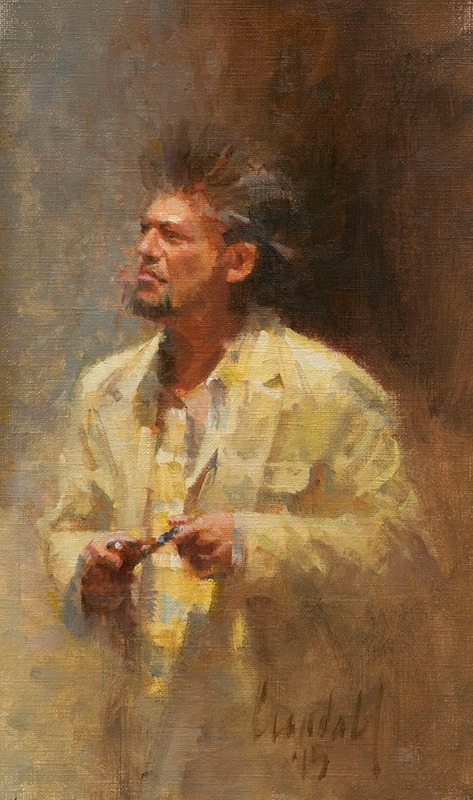 2009 “Contemporary Masters, Artiistic Eden II” Pasadena Museum of History.